There’s no single suitable design idea for anything and we’ve learned to embrace diversity and to honor originality. This applies to everything and in architecture and interior design creativity is often rewarded. 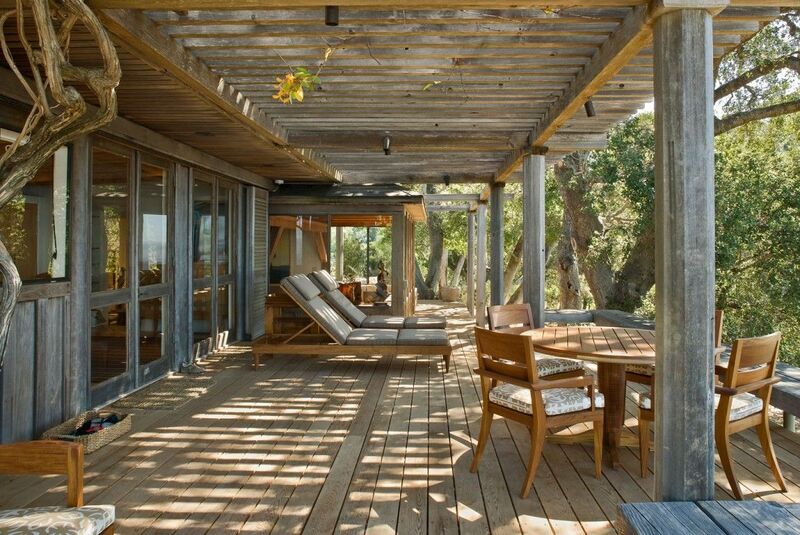 There’s basically an endless array of design possibilities for anything and this includes outdoor pergolas. 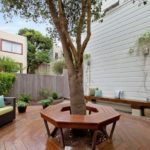 They’re designs vary depending on a variety of factors and a lot of pergola designs are meant to match the house or to blend in with the surroundings. 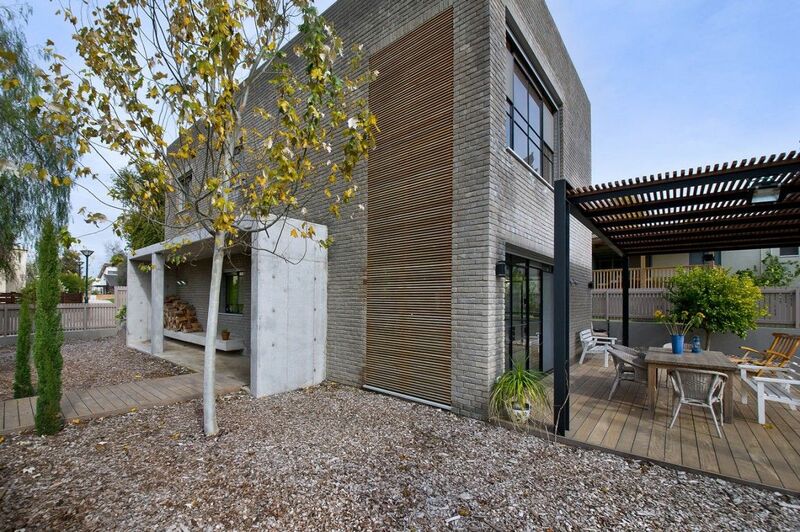 This is the Kibuts House, a residence designed by Sharon Neuman Architects and located in Israel. 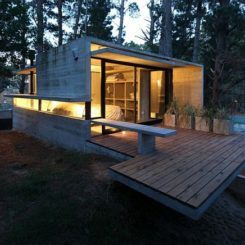 The house is cube-shaped and its backyard pergola is is like a frame that delineates the wooden deck. 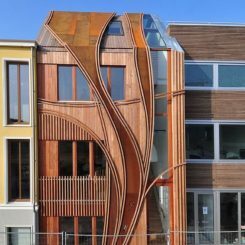 The combination of wood and metal and the form come as a response to the design and style of the house. 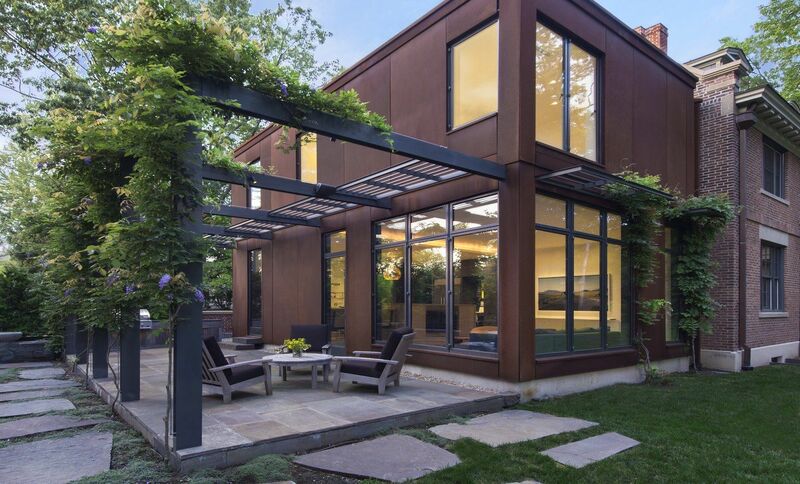 In the case of the Backtown Three residence designed by Studio Dwell Architects, the pergola is an extension of the house, an area which establishes a comfortable and intimate lounge and dining space outdoors. And yet this space doesn’t feel exposed at all. The house is located in Chicago, Illinois. 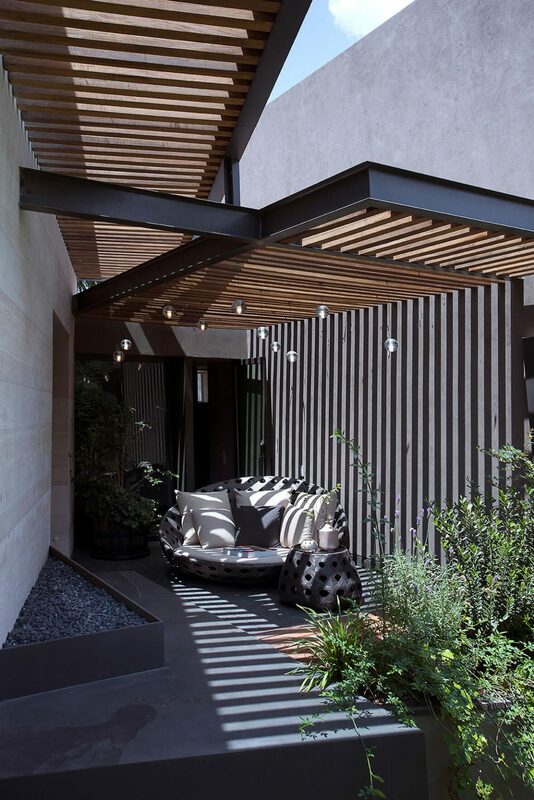 Olson Kundig Architects took the concept of pergola and perfectly adapted it to their project, the Mexico Residence which they completed in 2010. 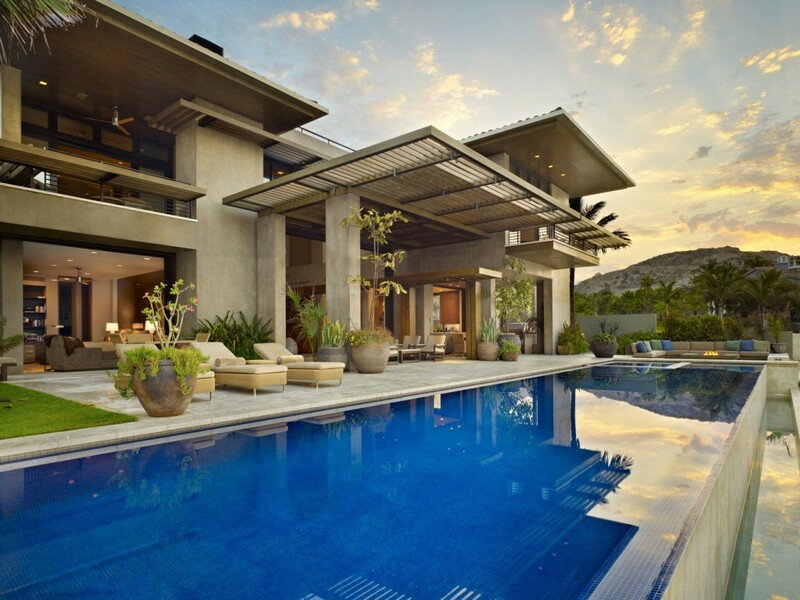 This is a residence that flirts with several pergola design ideas. 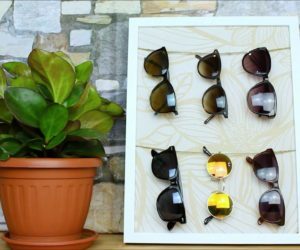 Have a look for example at the entryway. 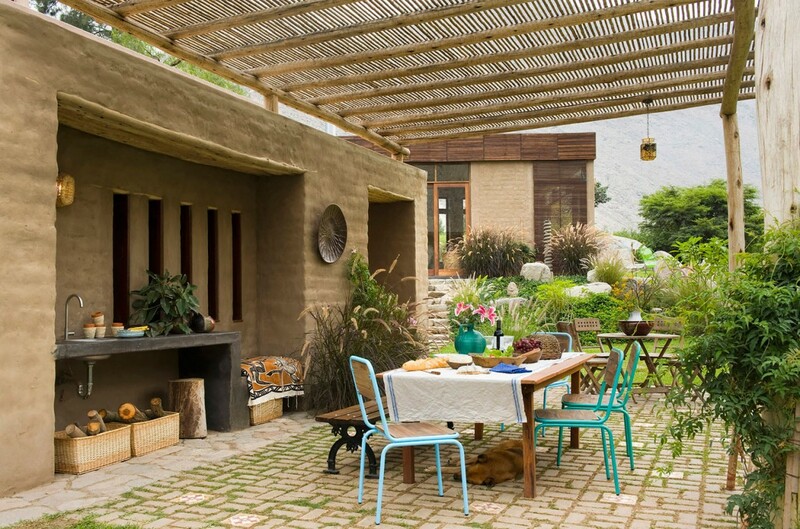 It features this narrow pergola extension, sort of like a second roof. 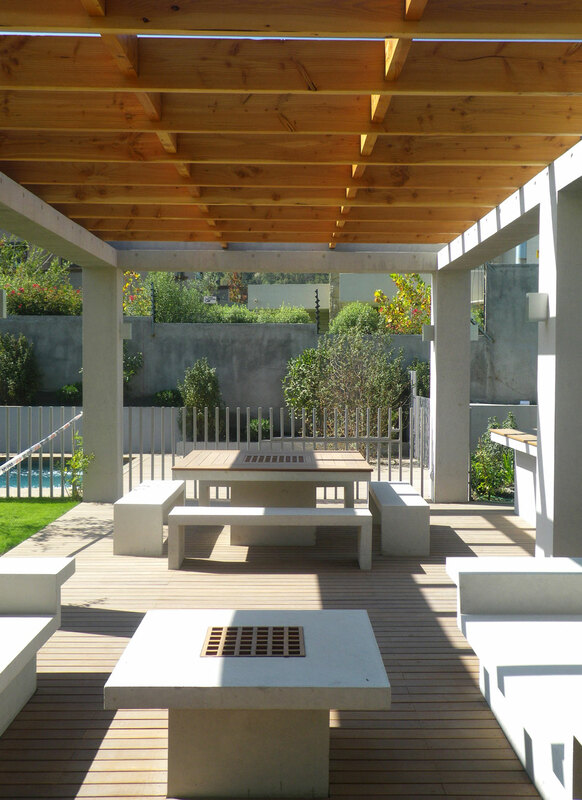 Then there’s also the large pergola at the back which has a similar extension. 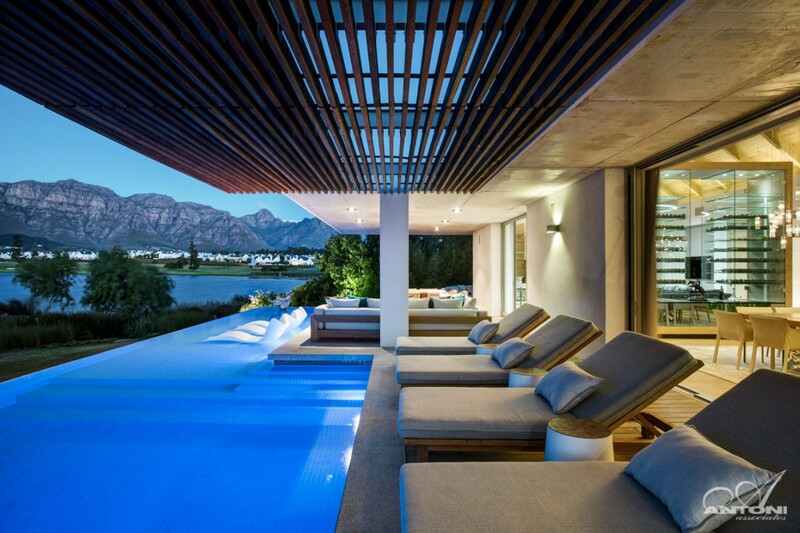 In Cape Town, South Africa, there’s a beautiful boutique hotel called POD which has this lovely secluded lounge area by the pool. 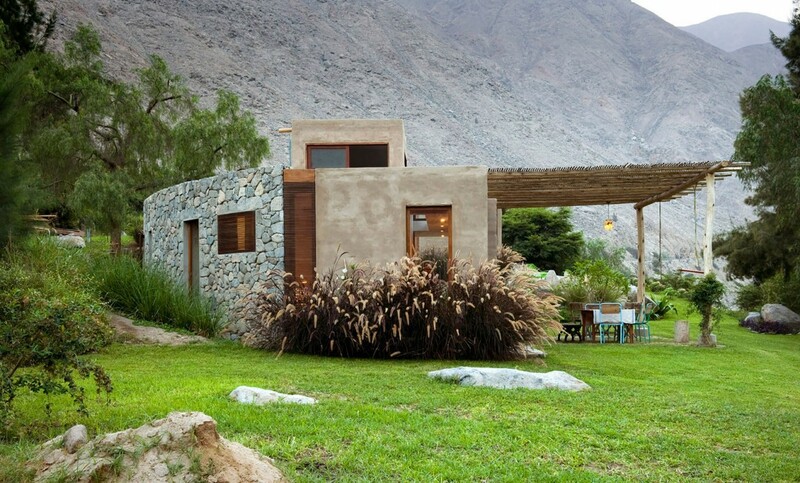 It features this organic beauty given by the natural materials and finishes used throughout but one of the most beautiful features is the wooden roof section which is designed like a pergola roof. 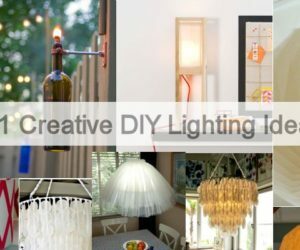 It lets light in and it creates this beautiful play of light and shadow. 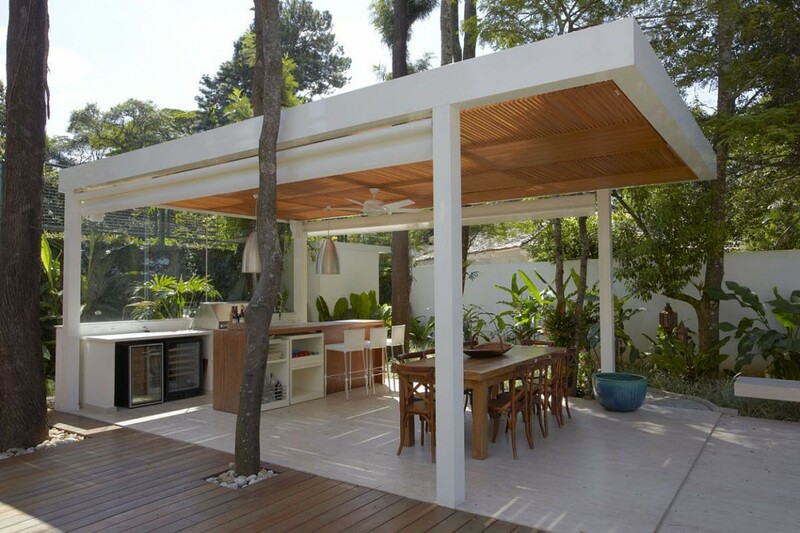 In some cases, the pergola is an extension attached to the house, like the one designed by Pupo Gaspar Arquitetura for Residencia DF, built in Sao Paulo, Brazil. 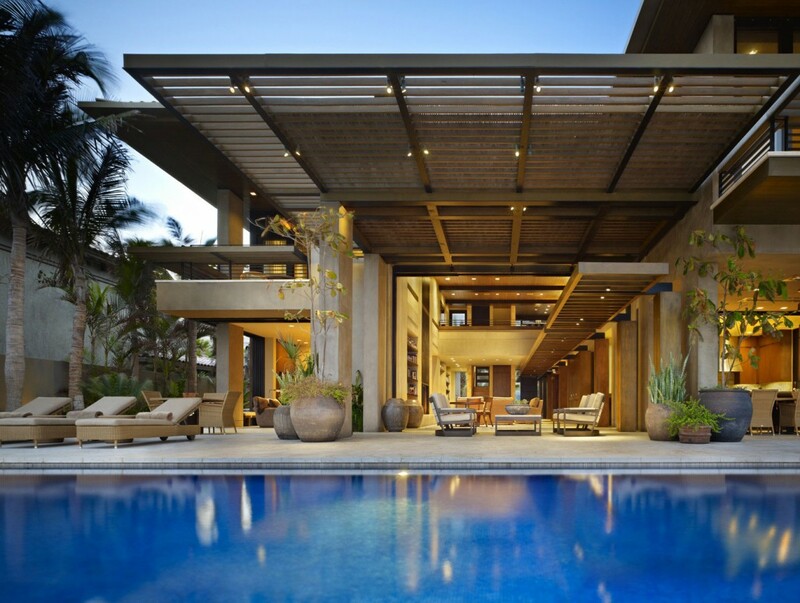 The pergola partially extends over the outdoor lounge area by the pool, establishing a balanced style and ensuring a strong connection between the indoor and outdoor spaces which feature rich wood accents and earthy color tones. 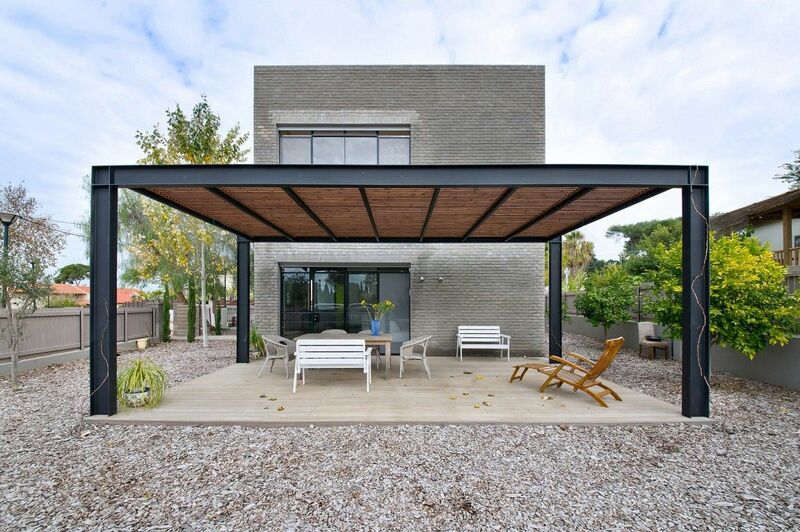 Whether it’s for shade or for looks, a pergola is a beautiful addition to a house, as proven by this two-story home designed by Jorge Figueroa Asociados. 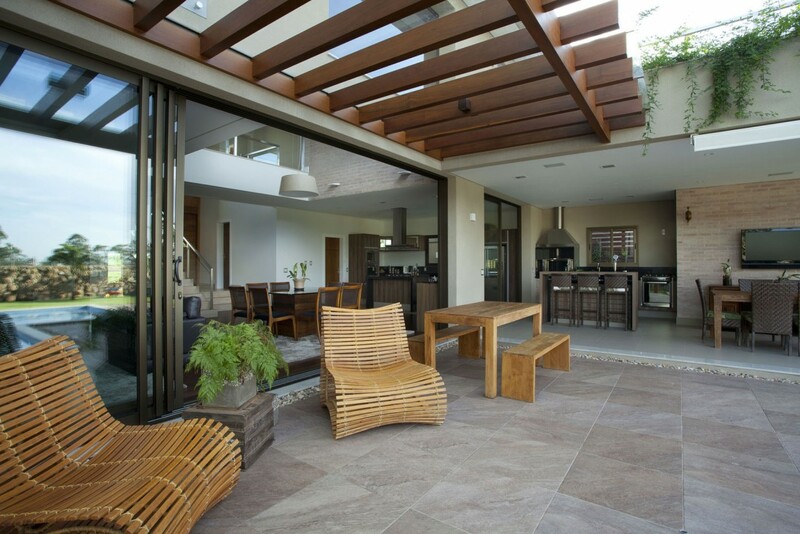 The pergola makes the outdoor lounge space feel more intimate and comfortable but also adds warmth to the decor. A lot of residences, this one included, are strategically positioned on their site to get the right amount of natural light and to avoid the harsh afternoon sun. 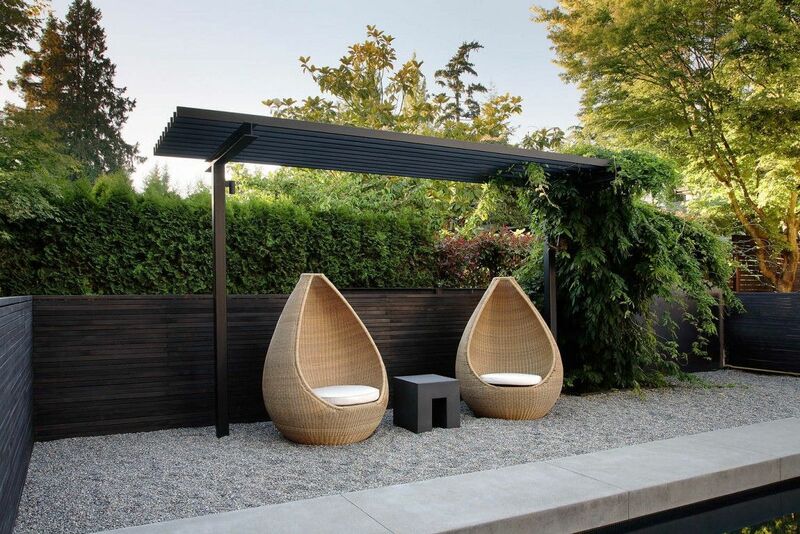 The pergola shade is a perfect addition to this outdoor lounge space since it’s also an element that connects the house to the garden. 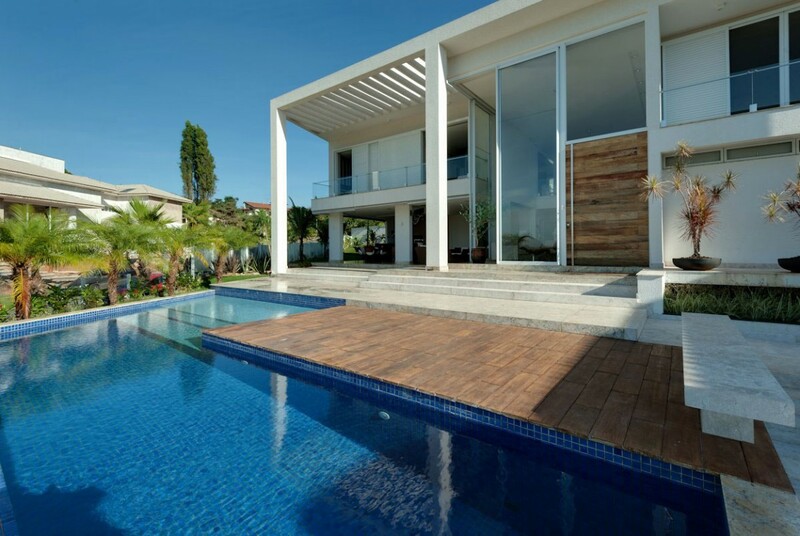 This was a project by Ramella Arquitetura. It may be small but this cute little pergola makes the house look and feel complete. 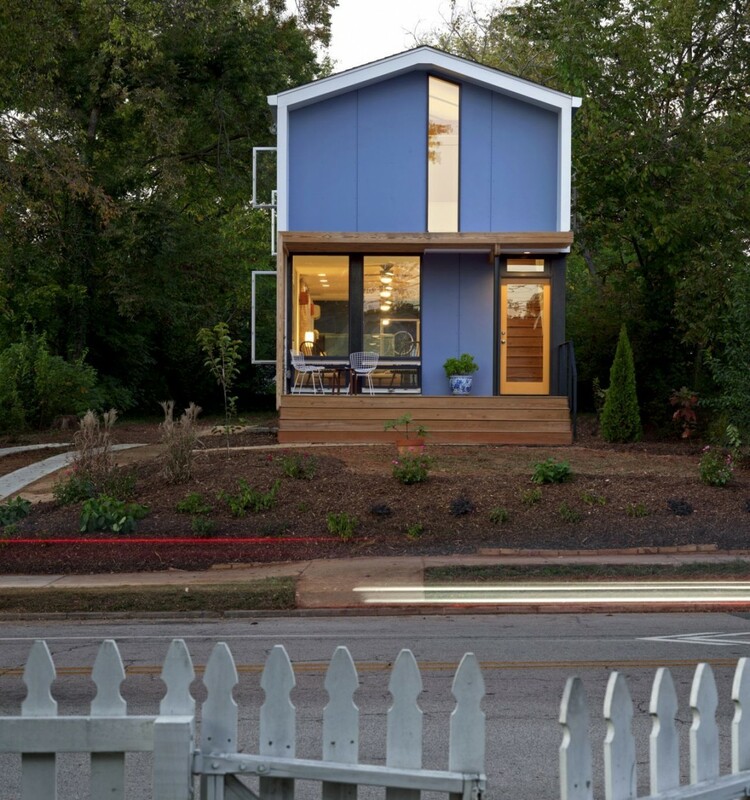 It’s something that In Situ Studio designed in 2012 in North Carolina. 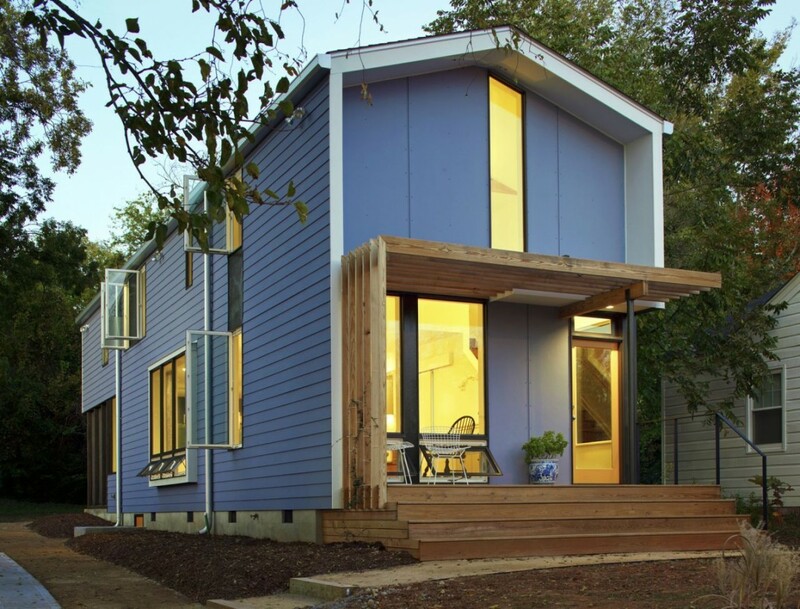 Their goal was to create a home that was affordable and sustainable, hence the small footprint and the simplicity that defines everything about it. 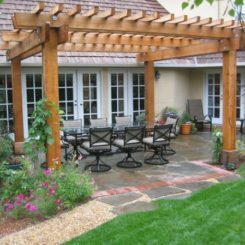 Usually the pergola is placed in the garden or the yard but on the ground floor in any case. Still, this is not necessarily a rule. 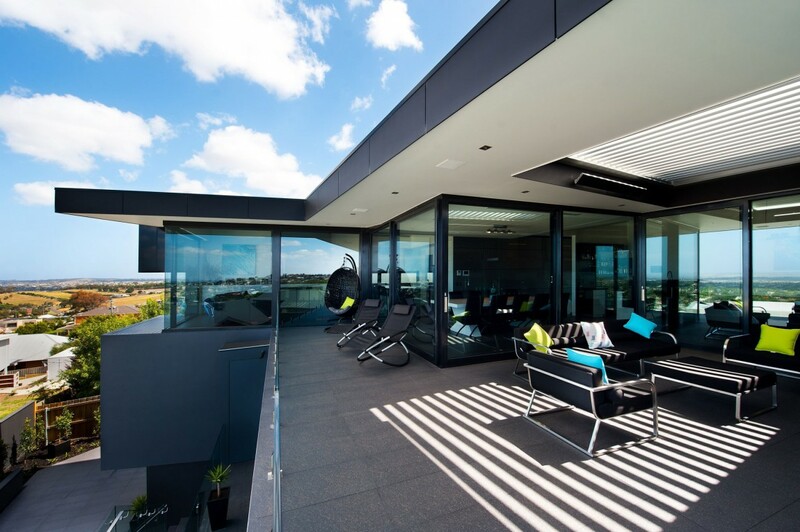 The ML House, for instance, has a modern, black pergola shade on its first floor balcony. 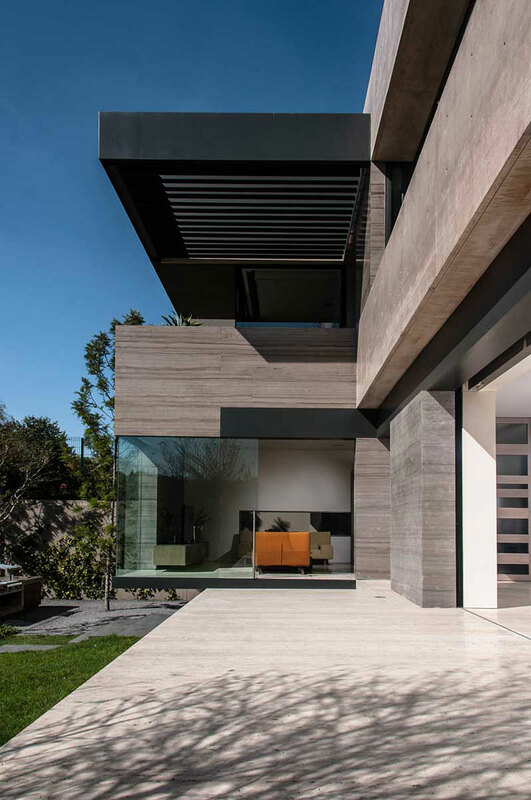 This is a residence designed by Gantous Arquitectos in Mexico City. 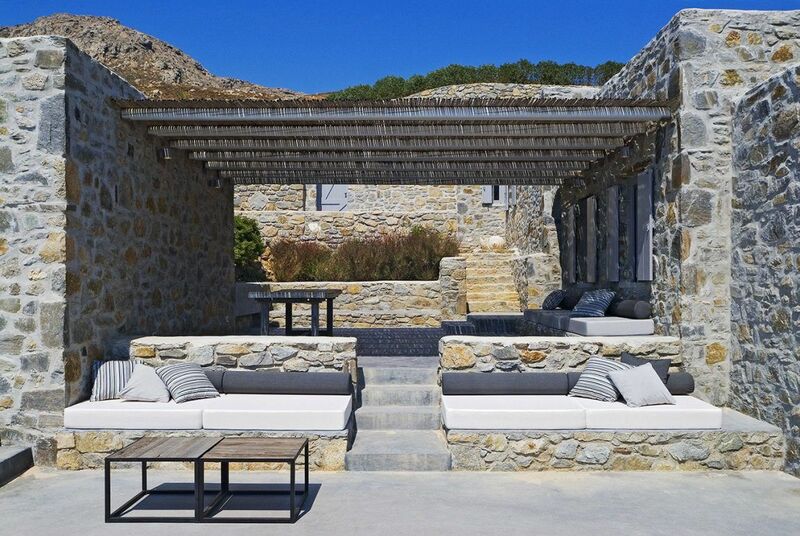 The typical wooden pergola design doesn’t suit all houses so for this summer residence in Serifos, Greece, Sinas Architects used a different strategy. 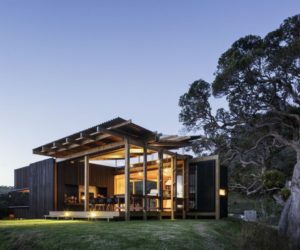 They chose the materials, colors, finishes and textures based on the nature of the site, the views and the surroundings and managed to create a house that becomes one with the landscape. 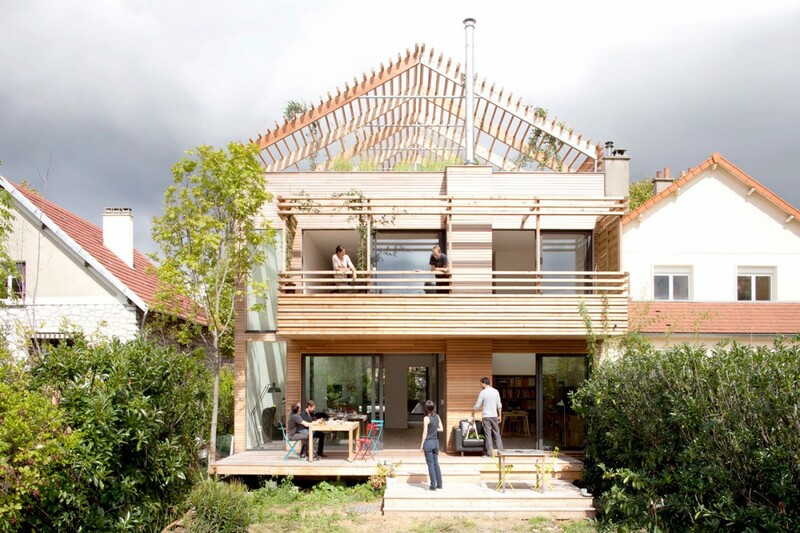 The Eco-Sustainable House designed by Djuric Tardio Architectes takes the pergola to new heights, literally. 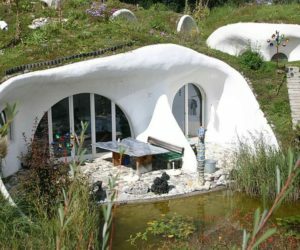 The design of the house is quite odd. At first sight it would seem that it has an unfinished roof frame. 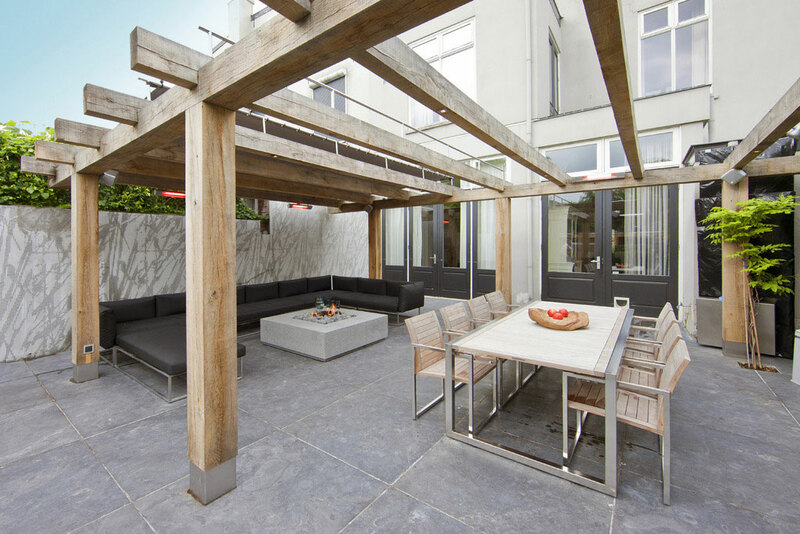 However, that’s actually the pergola that covers the roof terrace. It’s refreshing to see a pergola that serves its intended purpose: as a frame on which climbing plants can grow to form a living archway. 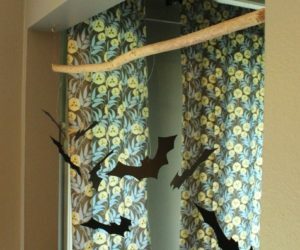 It’s partially what this residence has. 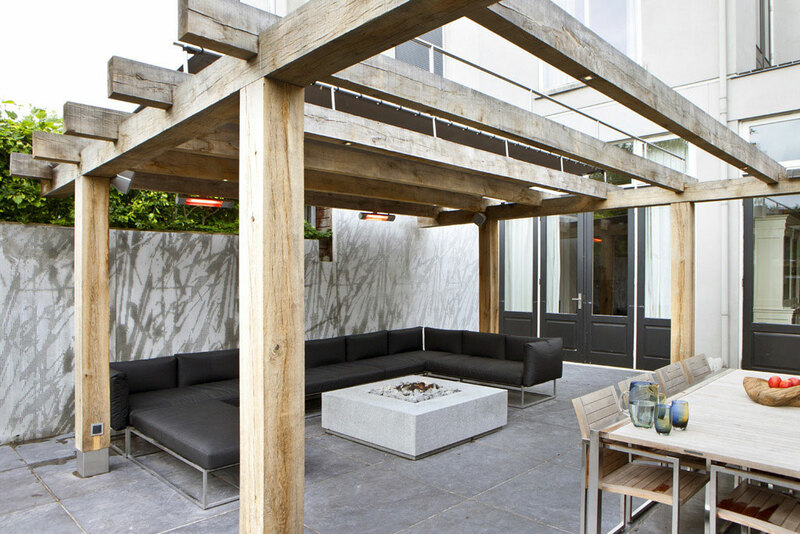 The trellis frames that flagstone terrace and creates a very fresh and pleasant ambiance. 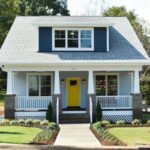 The orientation and view have a big impact on the design and layout of a house. 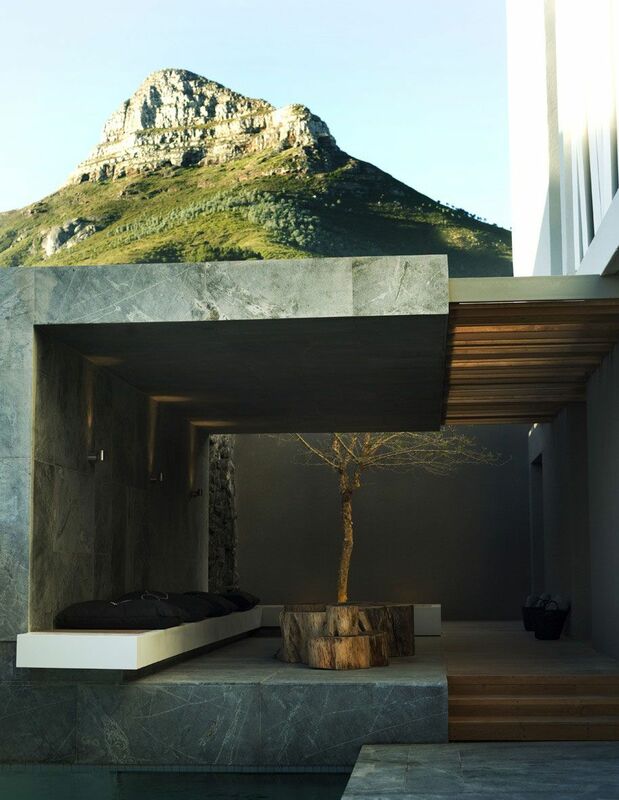 This home in Stellenbosch, South Africa makes the most of its location. 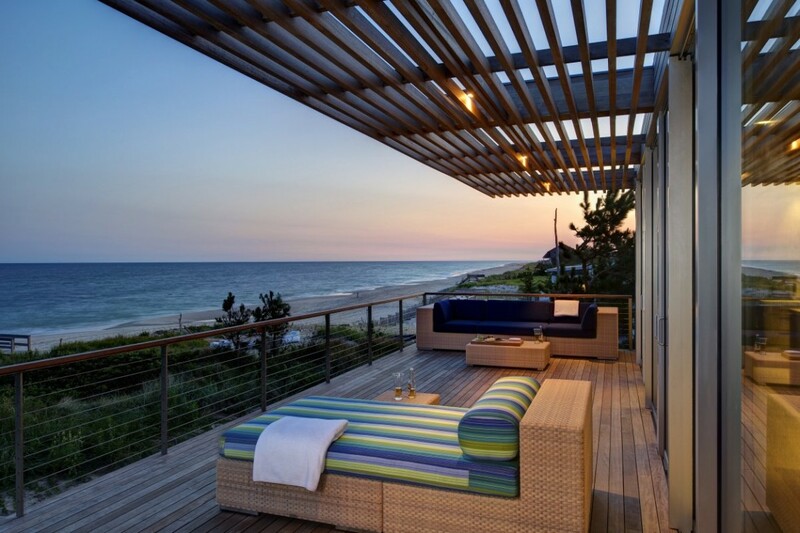 Antoni Associates made sure to capture the most beautiful views when extending the living spaces outdoors. They even gave the poolside lounge a pergola roof. Every pergola is different, especially if it’s custom designed. 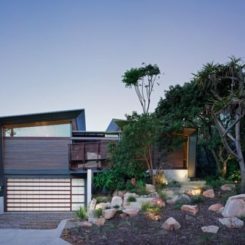 For this split-level beach house in Back Beach, Australia, a simplistic design was prefered, one that frames the terrace and the walkway but doesn’t cover it up and doesn’t obstruct the views. 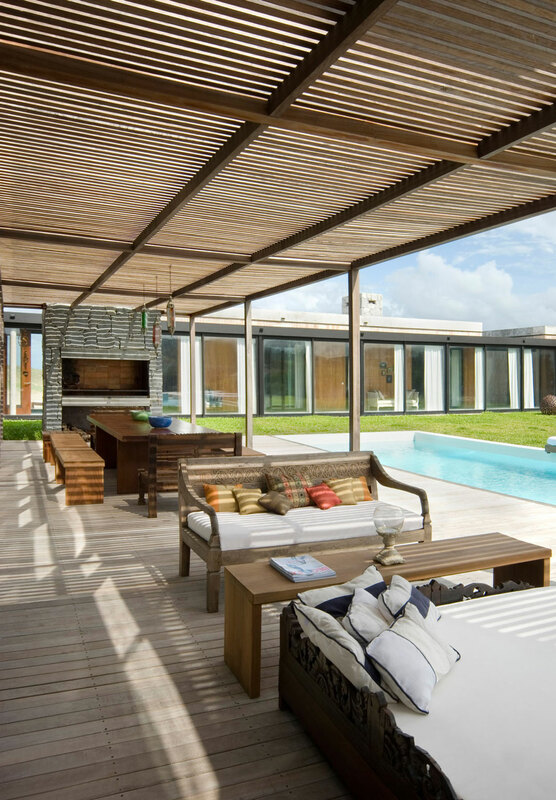 The seamless integration of the pergola into the design of this summer house is simply gorgeous. 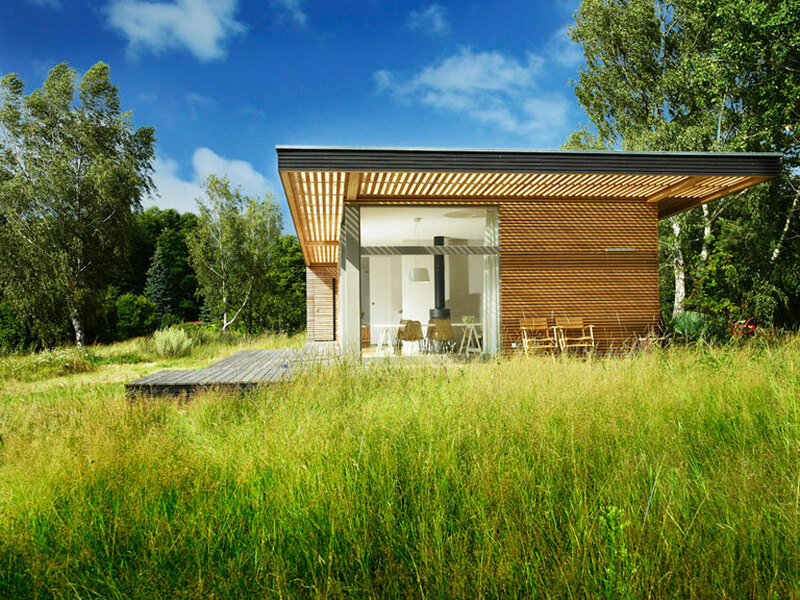 This is a house designed by architect Patrick Frey in collaboration with Björn Götte. 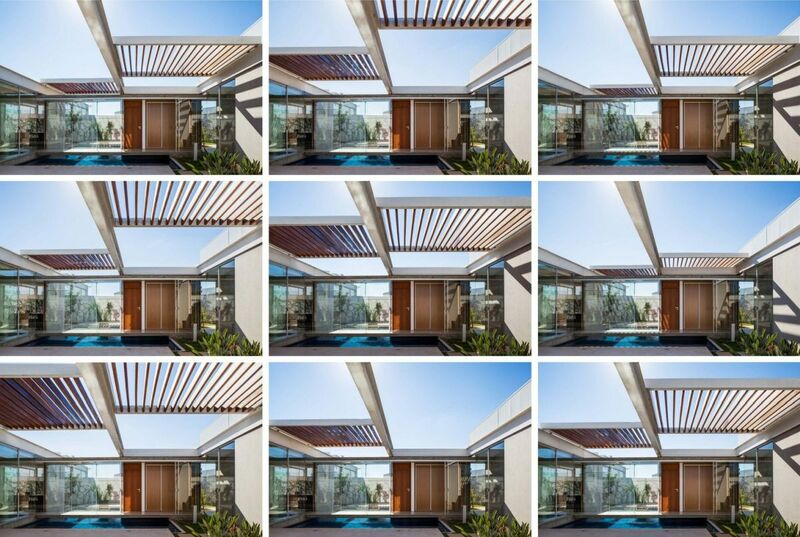 Basically the roof becomes a pergola shade as it expands beyond the walls of the house. There’s quite a big contrast between the front facade of this family home designed by BCarquitectos in Barcelona and its rear section. 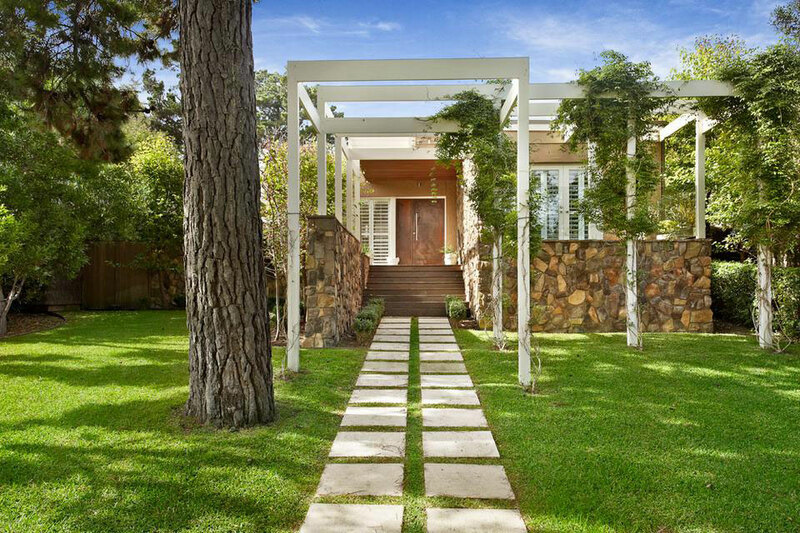 While the front is sinuous and closed off, with almost no windows, the back is opened towards the garden and shaded by a beautiful wood pergola. 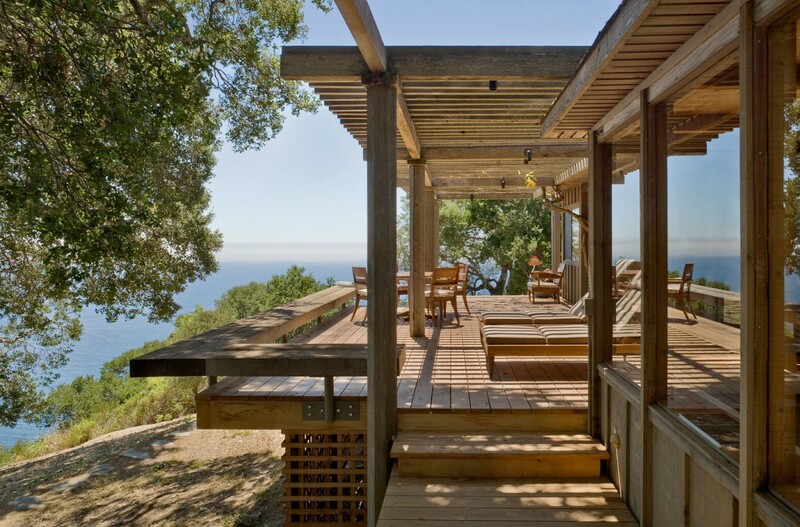 This residence is built into a hillside in Oakville, California. 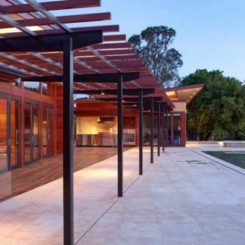 It was designed by architect John Maniscalco who made sure to give it gorgeous views of the Napa Valley and its vineyards from every room. 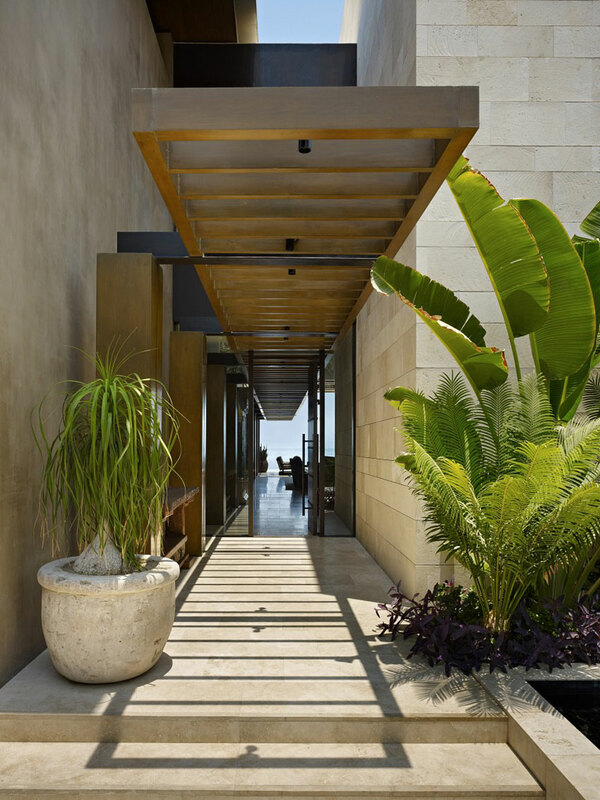 He also designed the house with a series of seamlessly embedded outdoor spaces like this courtyard which is sheltered by a pergola roof and serves as a sort of transitional space, not entirely indoors but not completely exposed either. 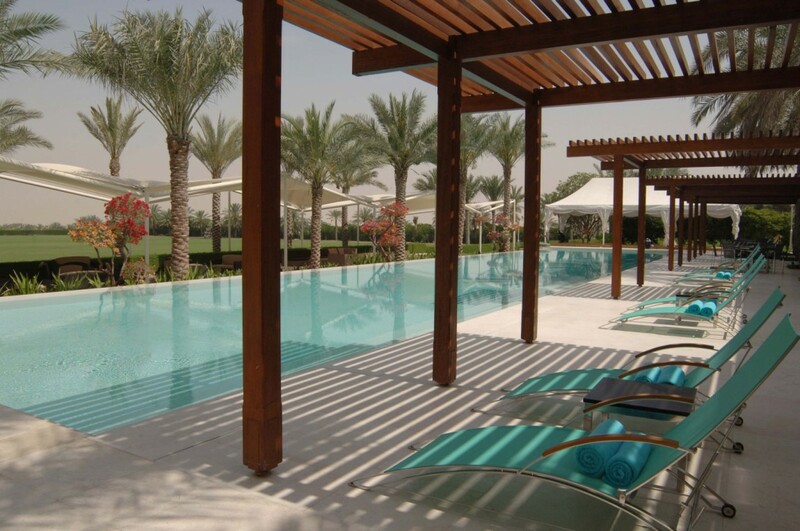 Although very luxurious and sophisticated the Desert Palm resort in Dubai also makes its guests feel very welcomed and comfortable. 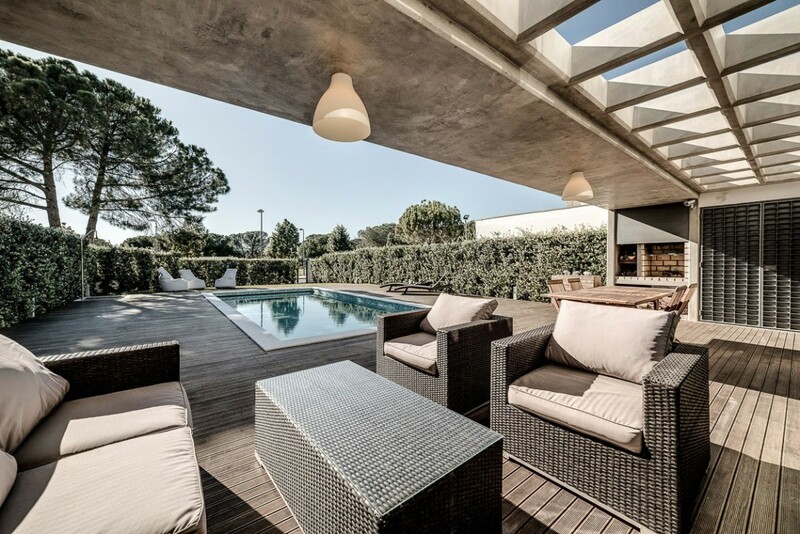 They can enjoy the coziness of their suites which are decorated using lots of browns and other earthy tones and they can also spend time outdoors where the poolside lounge is framed by a series of wooden pergolas. 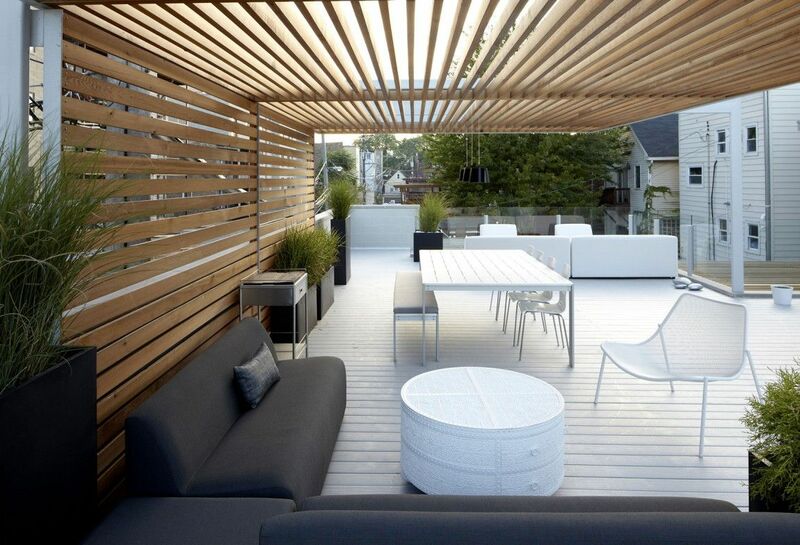 Once again, we see a house which features a seamless transition from roof to pergola. 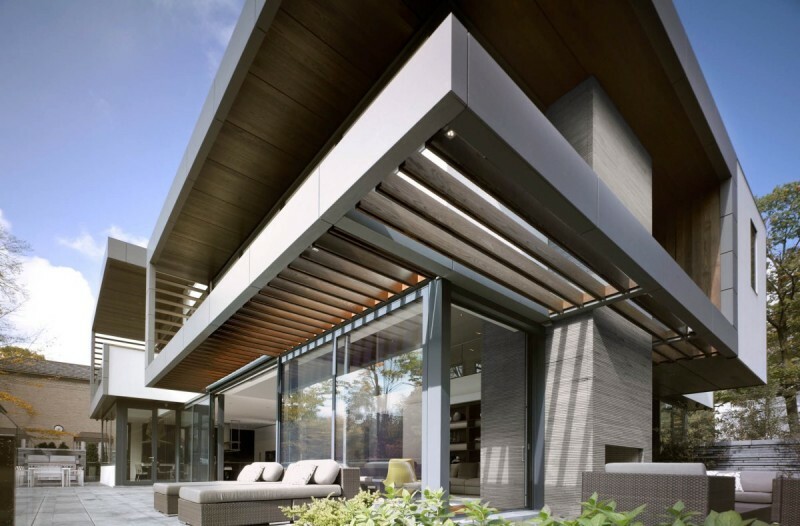 It’s a home designed by Belzberg Architects in 2012 in Toronto. 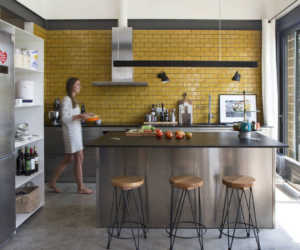 The design is defined by clean and crisp lines but also by fluidity. 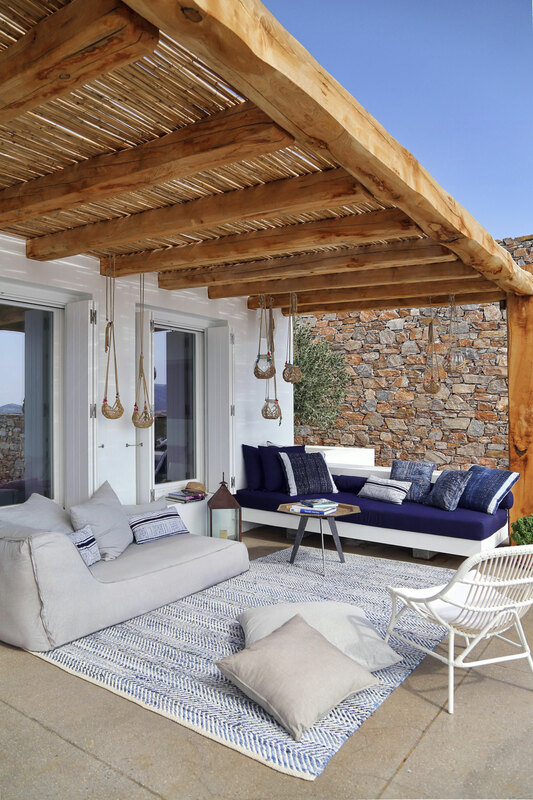 It has an infinity pool that hangs over the sea and a charming little lounge space out on the terrace, with an area, comfy sofas and cushions and a wooden pergola for shade. 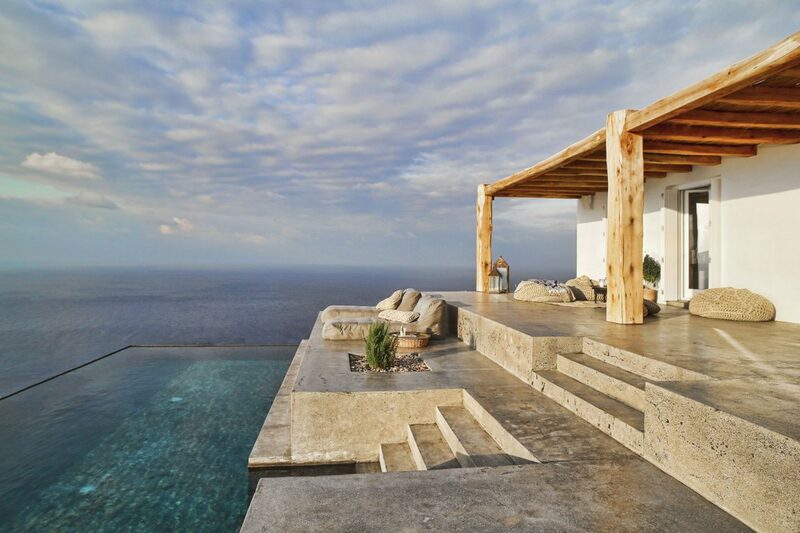 We’re talking about this house built on an island in Greece by Block722. 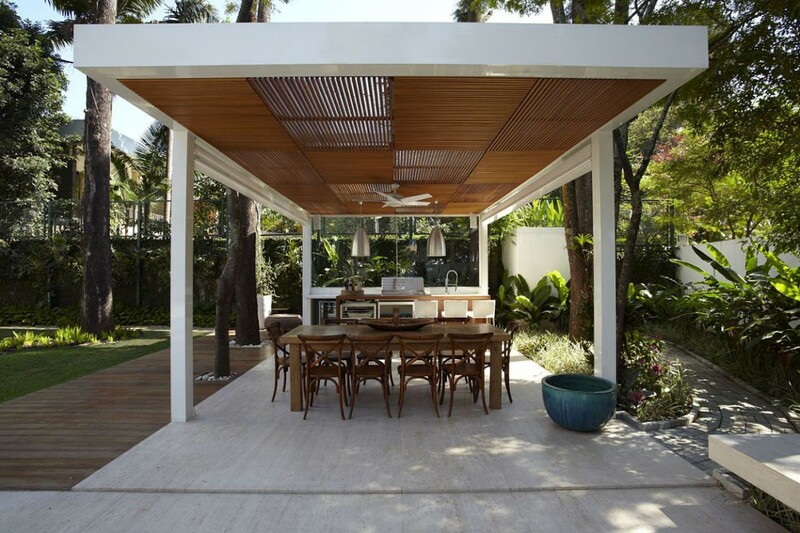 For this contemporary residence located in Sao Paulo, Drucker Arquitectura designed an outdoor kitchen and dining area sheltered under a perforated roof, with no walls, a look reminiscent of a pergola. 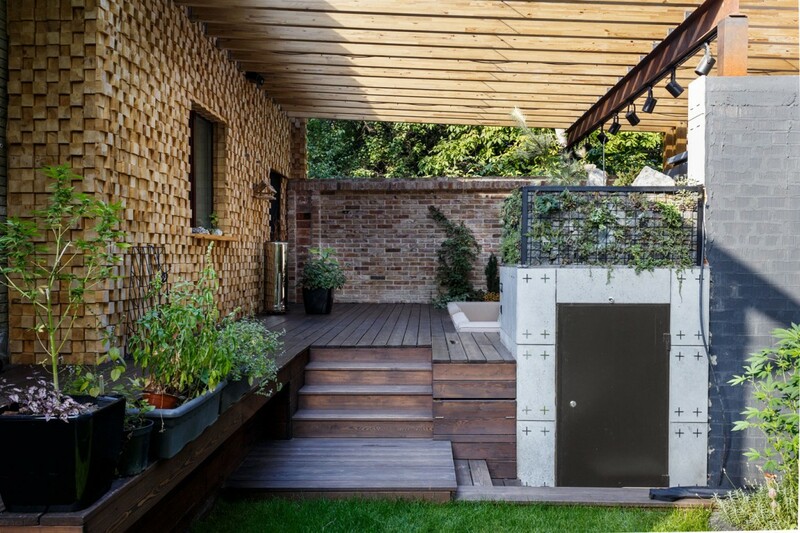 Nature takes over this garden lounge space in a very subtle and delicate way. 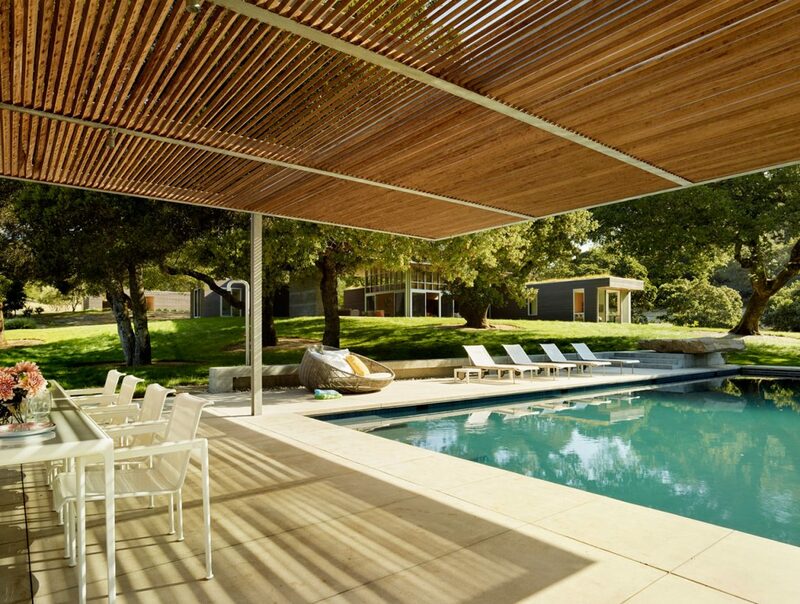 This is the poolside lounge designed by SKB Architects for a mid-century modern house in Medina, Washington. 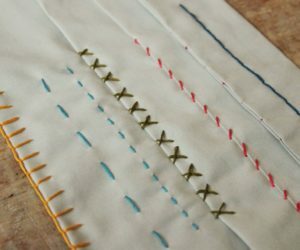 The simplicity suits it very well. 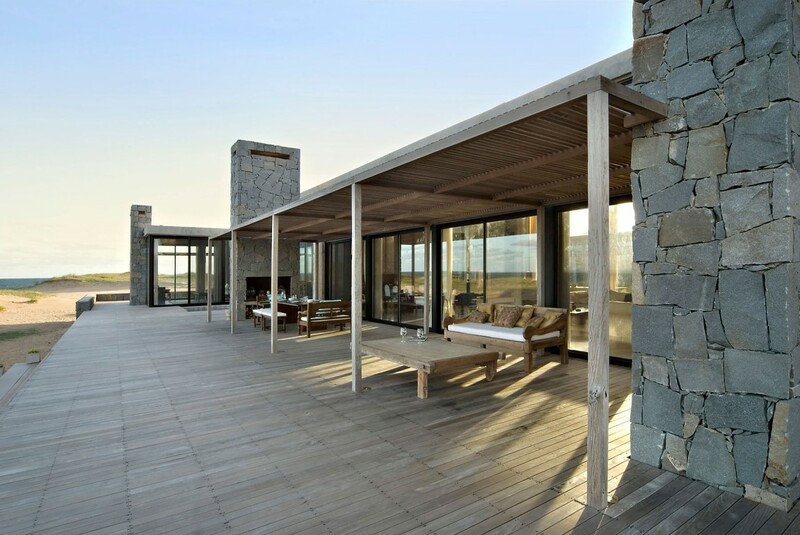 The outdoor space featured by this residence in Uruguay almost feels like a natural extension of the indoor living area. 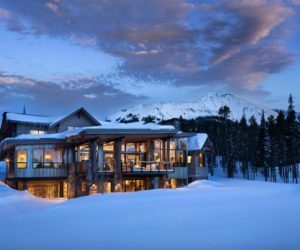 That’s because it has a stone fireplace, wooden flooring, comfortable furniture and a pergola roof attached to the house. 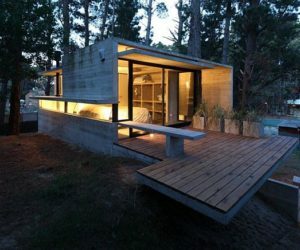 This is a design by Martin Gomez Arquitectos. 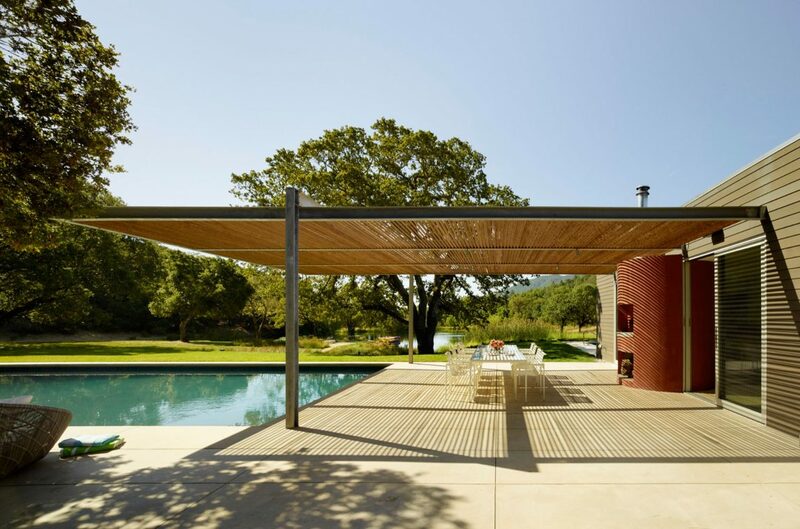 The boundaries between indoor and outdoor seem to be completely blurred out in the case of the Sonoma Residence, a project completed by Turnbull Griffin Haesloop Architects in 2016. 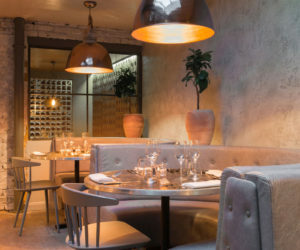 The al fresco dining area is particularly charming. 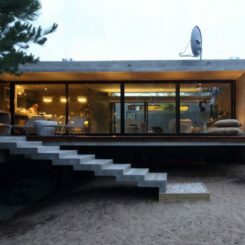 A similarly seamless connection can also be witnessed in the case of this residence located in Kiev, Ukraine. 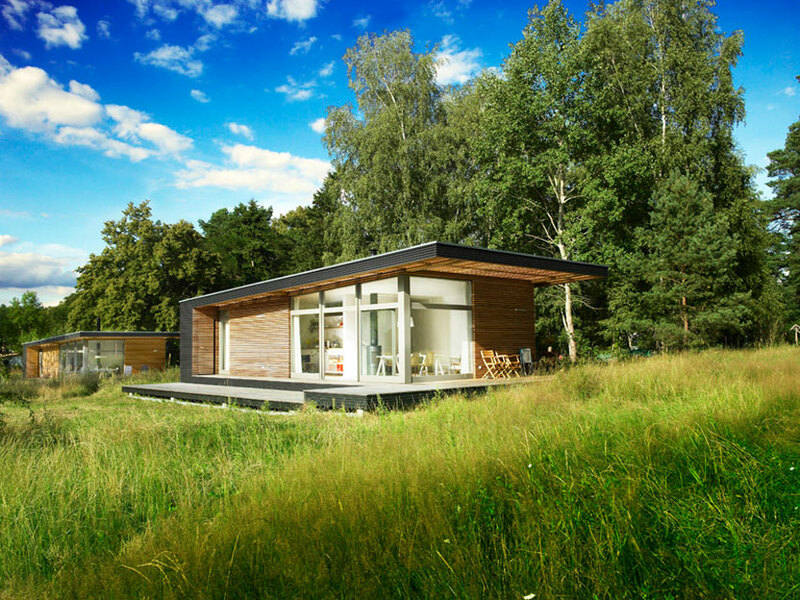 It’s something that Yunakov Architecture Construction designed in 2011. 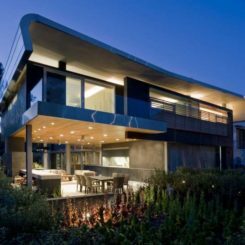 The house is a two-story structure with five bedrooms and a generous living space that extends outside under the pergola roof. 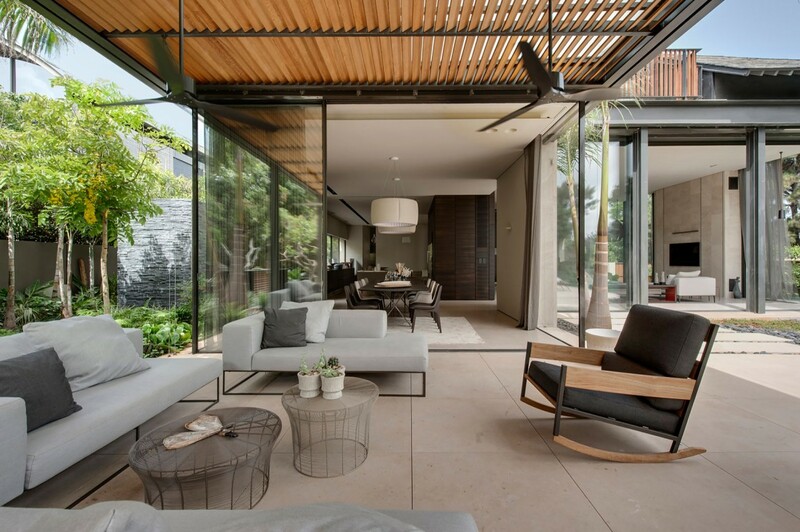 Full-height glass walls and sliding glass doors separate this exterior living space from the indoor functions. 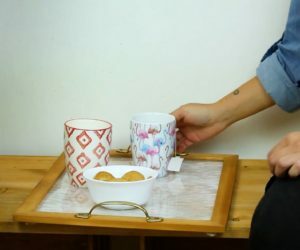 There’s a very nice fluidity between them. 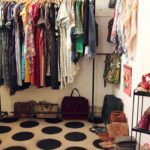 The flooring is very similar and the ceiling height is maintained. 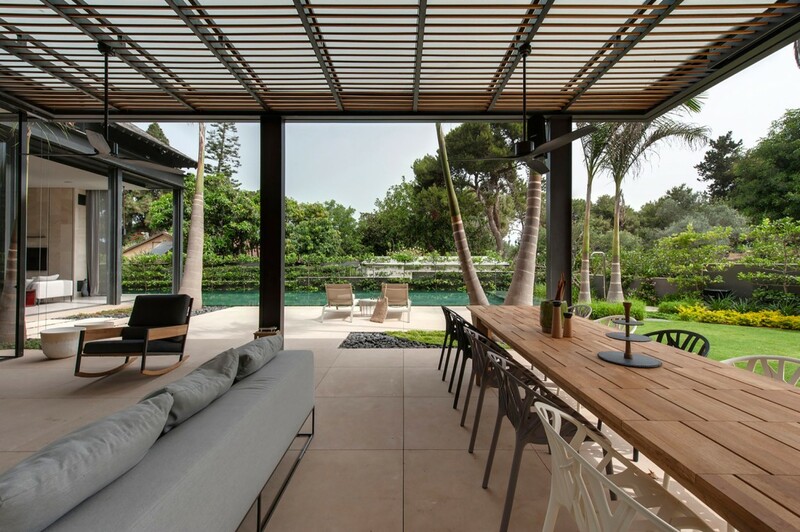 The house is designed by Eran Binderman & Rama Dotan and is located in Israel. Small houses are sometimes the most charming. 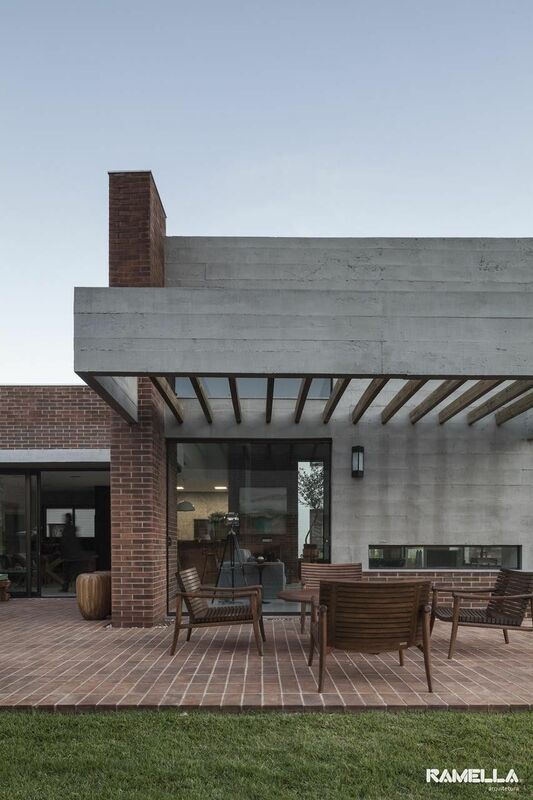 This one, for example, is a lovely home designed by Marina Vella Arquitectos and located in the Antioquia District, in Peru. 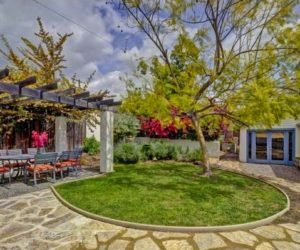 It has this beautiful little paved terrace with a pergola and an outdoor kitchen built into the side of the wall. 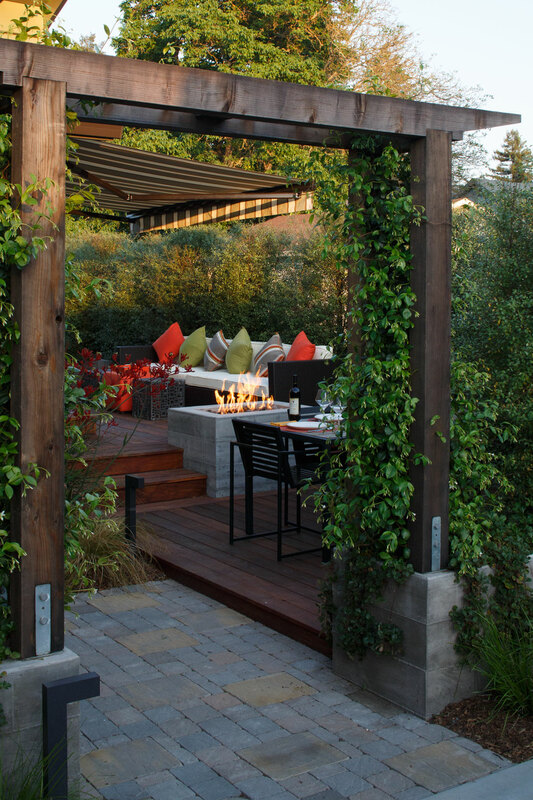 With all the climbing plants that grow on this pergola, the space looks and feels like a fresh oasis and a perfect place to relax in. 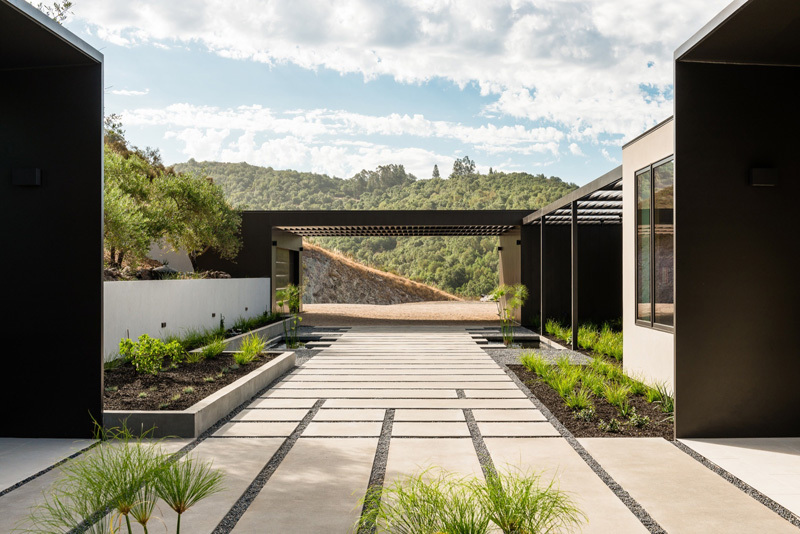 It’s a garden space designed for a house in Healdburg, California, a collaborative project between architect Amy Alper and landscape designer Margaret Baumgratz. 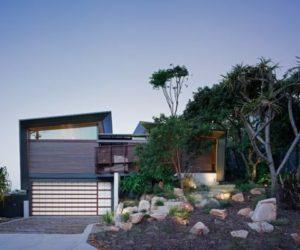 The dark chromatic palette chosen by James Deans & Associates for the Wandana Residence is meant to contrast with the colorful surroundings and to give the house a sleek and modern appearance. 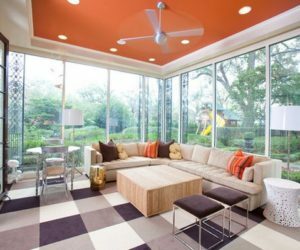 The colors are balanced out by the abundance of natural light which enters through the glass walls and the pergola ceiling. 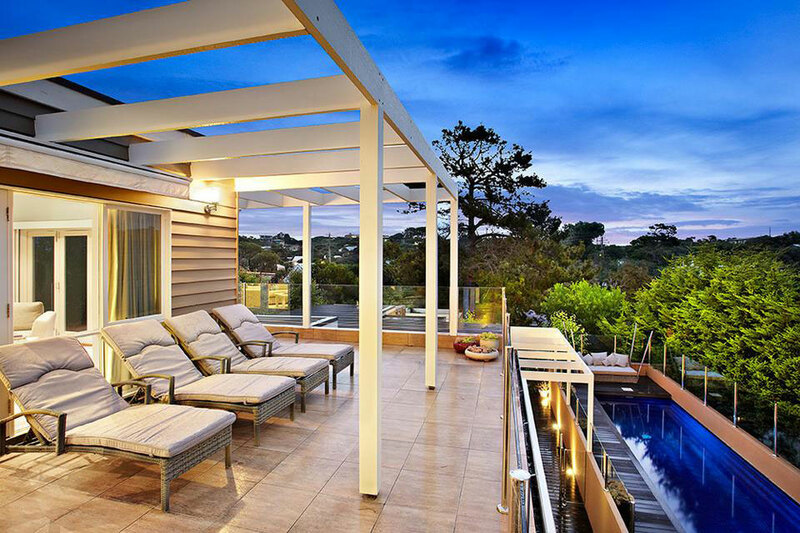 It’s important to ensure a comfortable and smooth transition from inside the house onto the outdoor deck and garden. 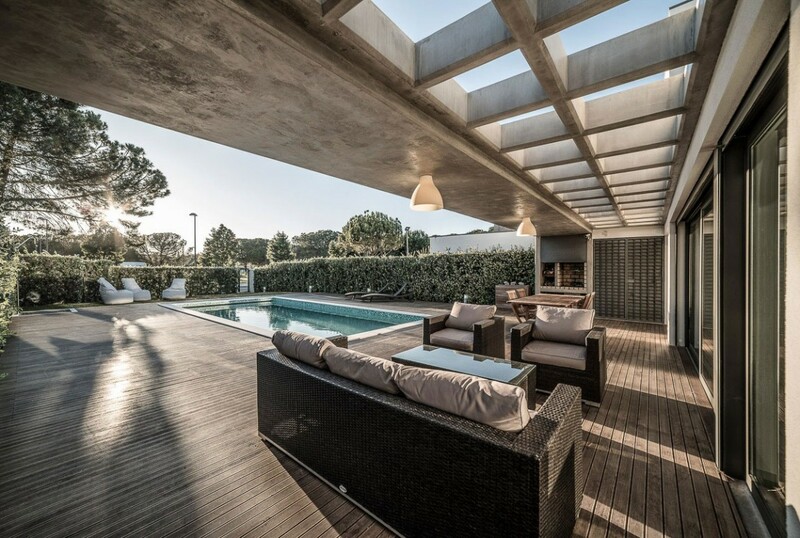 In order to establish this connection, the architects from Groupo Dunaplana created this huge wooden deck that basically covers the entire back yard of this house in Portugal. Most of it is open, with only the seating area being sheltered under a narrow pergola roof. 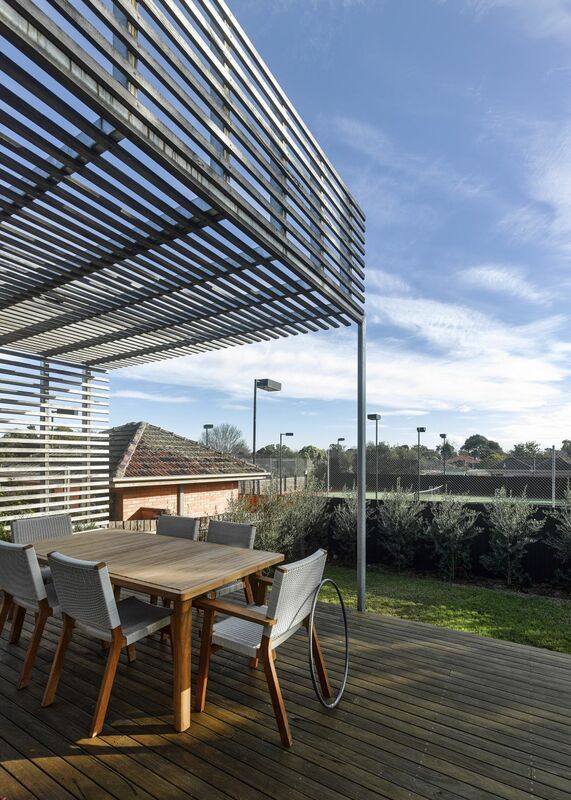 The owners of this house in Brighton, Australia, wanted their home to be exposed to the site and in particular to the adjacent tennis club so FMD Architects gave them a backyard deck with a pergola roof and side wall to protect it from the neighbors and with a direct view towards the court. 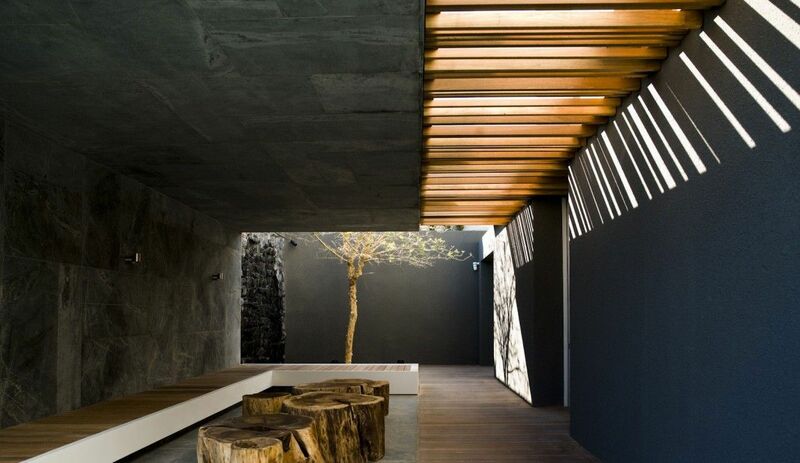 This is just a small portion of the Meera House, a wonderful residence designed by Guz Architects. 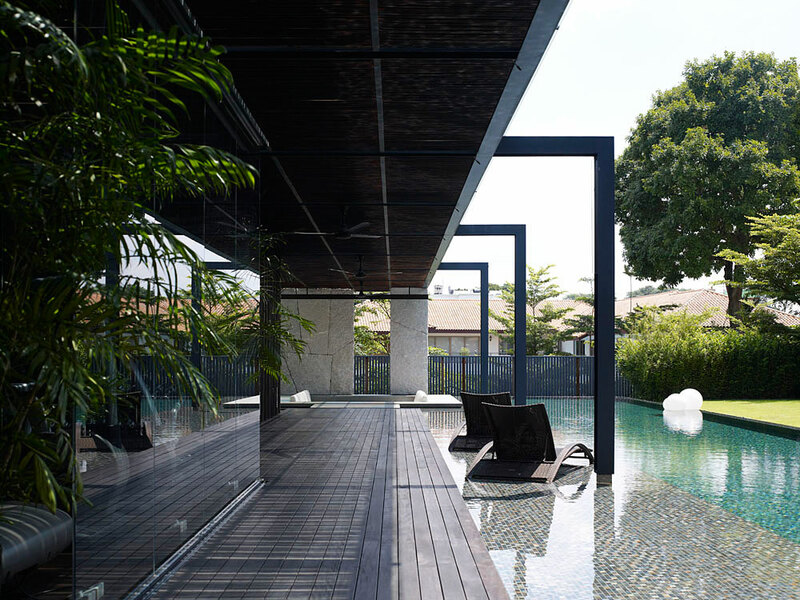 The house sits very close to its neighbors so the architects built solid walls on each side to ensure privacy and gave it a terraced design at the back, the goal being to open and connect it to the greenery. 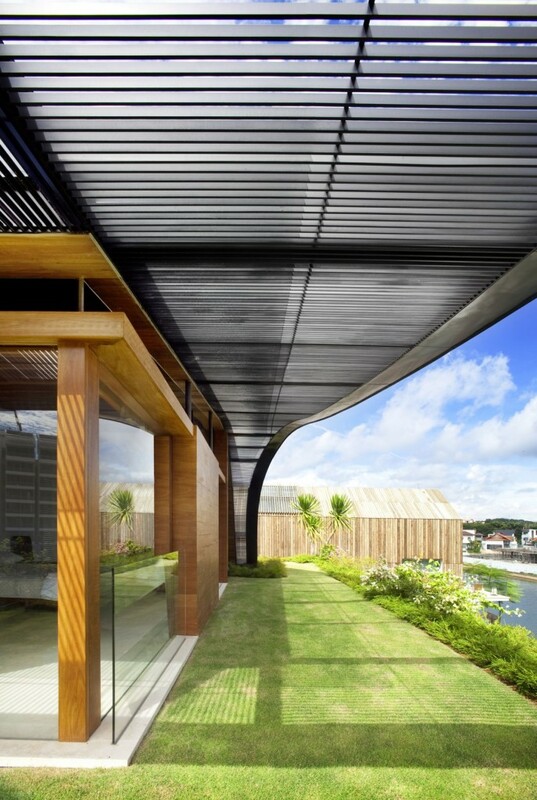 The pergola curves around the side framing the view. 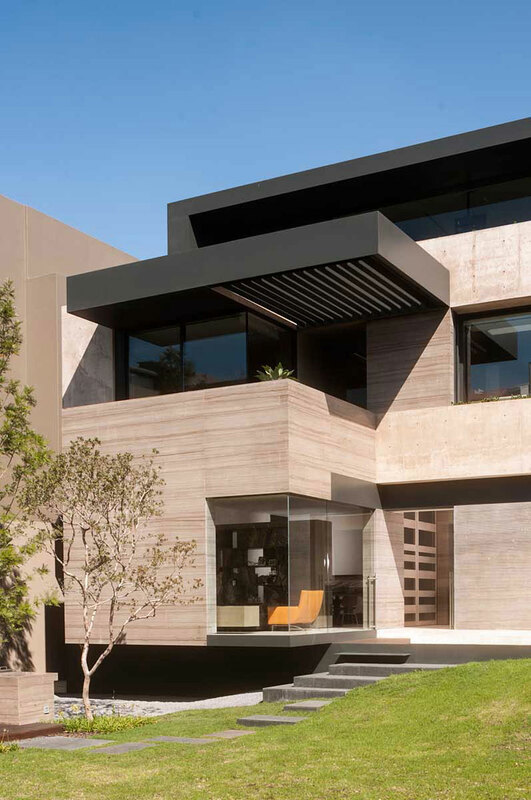 Vieyra Arquitectos designed in 2014 a private home near Mexico City which has a gray exterior shell complemented by several wooden pergolas. 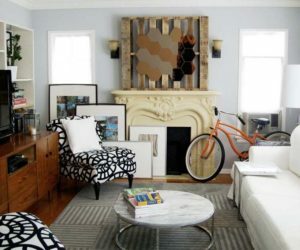 This is one of the super cozy nooks. 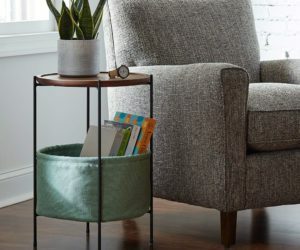 It looks incredibly comfortable and inviting, ideal for curling up with a good book on a beautiful sunny day. 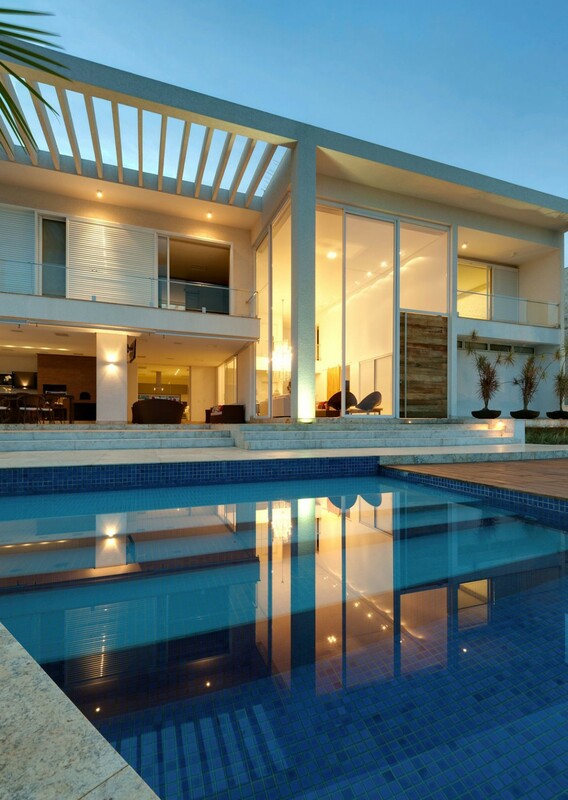 Casa MM is an imposing residence located in Goiânia, Brazil. 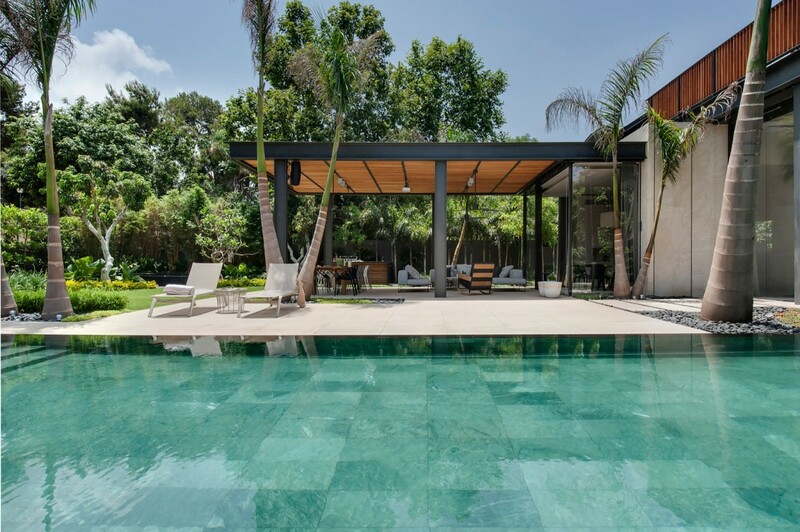 It was designed by Dayala + Rafael Arquitetura and it has a spacious interior as well as large outdoor spaces, including a wooden poolside deck and a lounge space with a pergola roof that shades it for increased comfort. 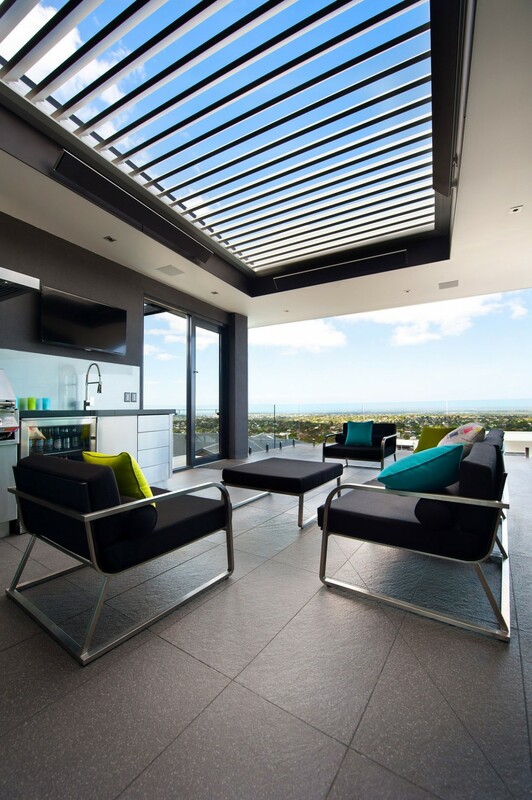 With views as gorgeous as these, you want to spend as much time outdoors as possible. 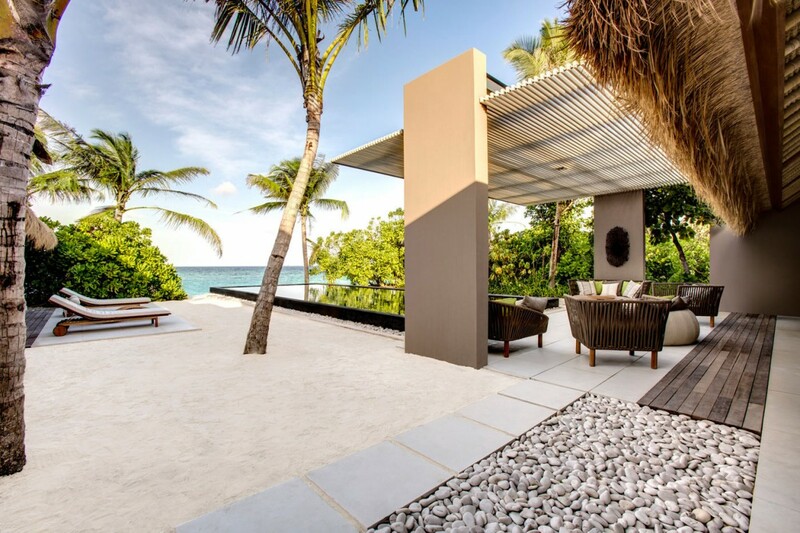 It’s why the Cheval Blanc Randheli Hotel in the Maldives allows its guests to enjoy the ocean breeze and to admire the surroundings while relaxing on the terraces, either under the clear blue sky or under the wooden pergola. 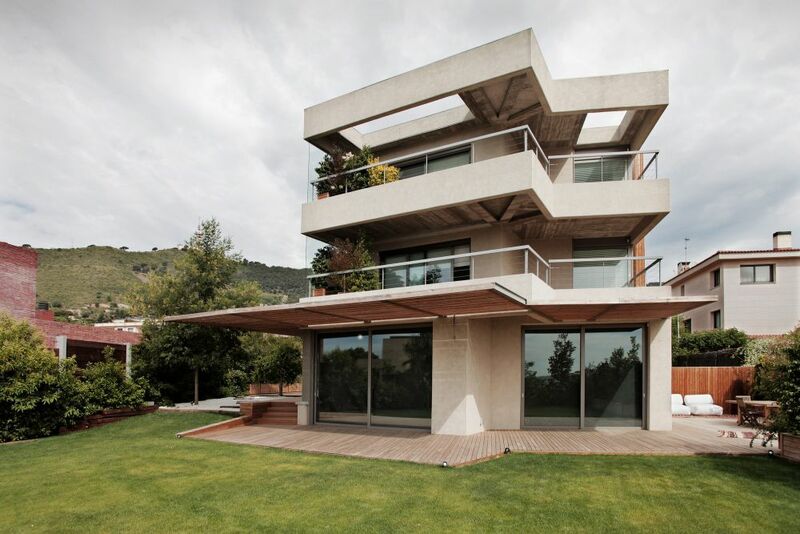 In 2014 CMA Arquitectos completed the RP House, a rather unusual lakeside residence. 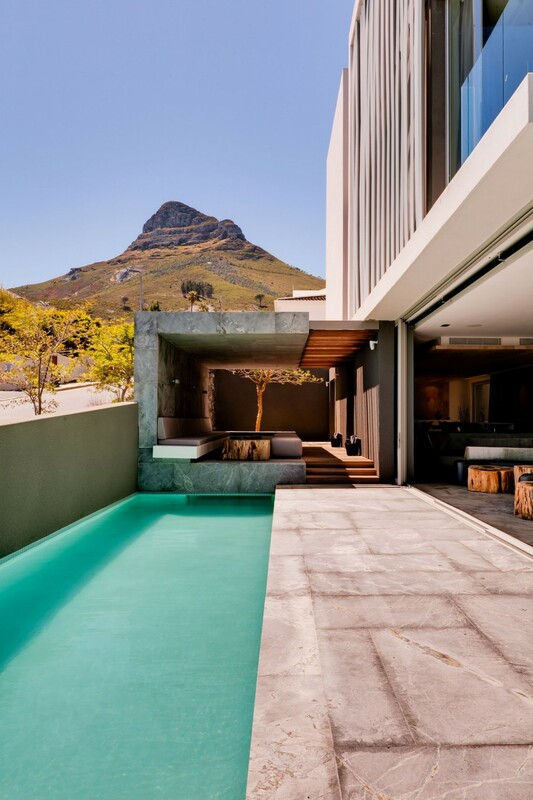 Their main goal was to capture the best views of the lake so they organized the house longitudinally. 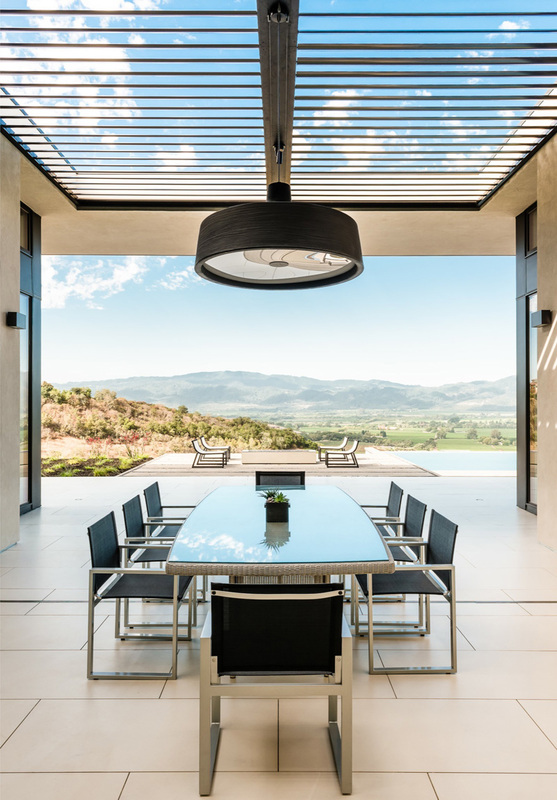 A long terrace with pergola roofing runs along the entire space, offering great lounge and dining areas that overlook the lake and the surroundings. 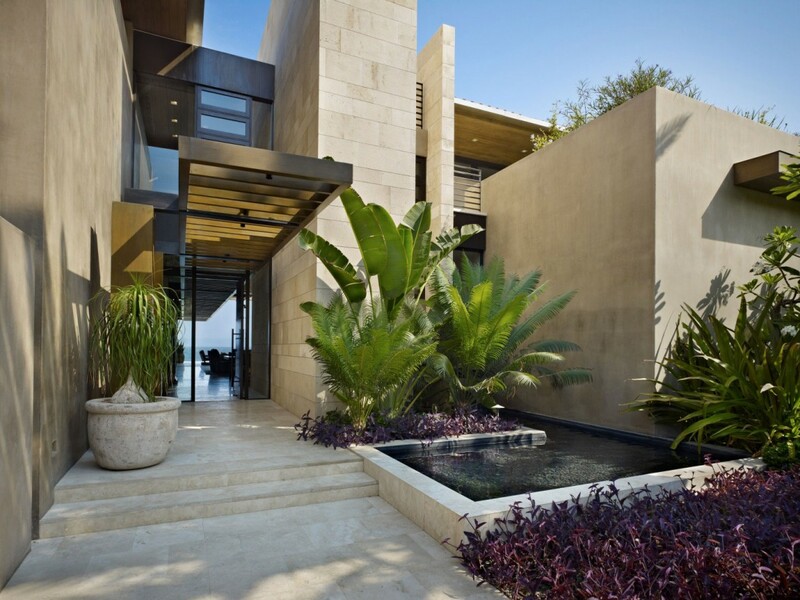 We enjoy the symmetry and balance displayed by this residence designed by Aamer Architects. 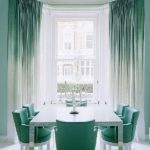 The house is large, with spacious interior areas and beautifully framed outdoor decks and terraces. 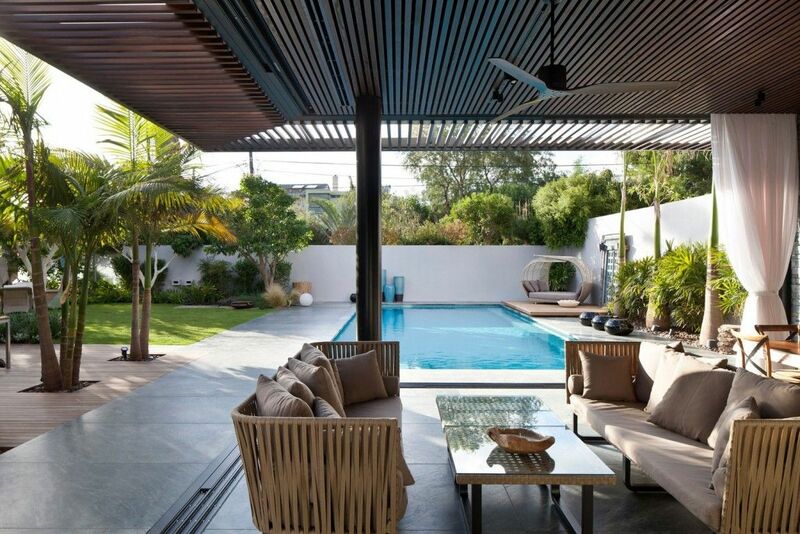 There’s a charming poolside lounge with a pergola that extends over the wooden deck without shading the entire area. 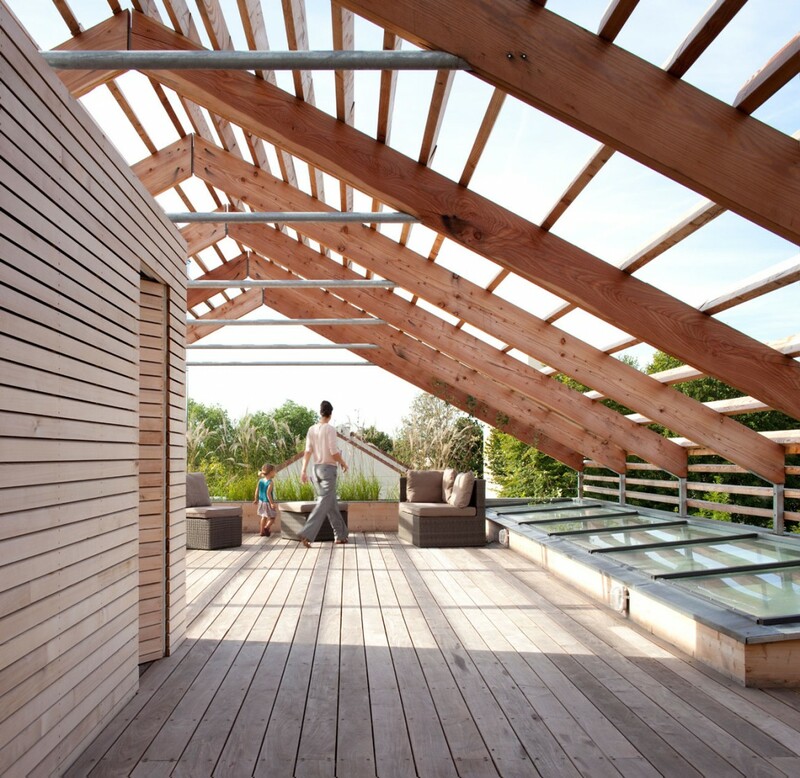 The beamed roof makes this deck feel even more intimate, especially when considered in its full context, with walls on the sides and a wooden floor. This is a house designed by SVOYA studio in Dnipropetrovsk, Ukraine. 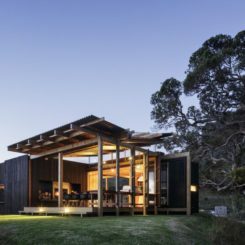 It’s a bit rustic but mostly modern and it’s very cozy and inviting, with small but chic rooms and lovely views and all you want to do in the morning is to go out on the deck and enjoy the scenery. 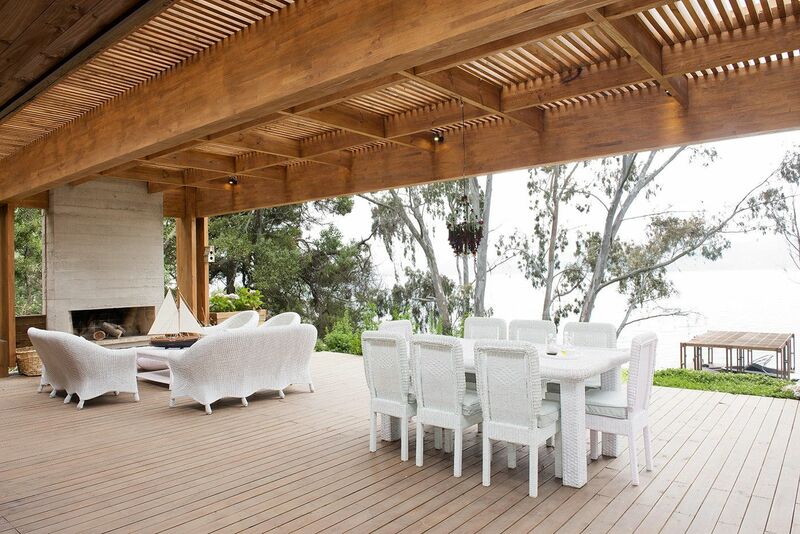 The wooden pergola makes the experience even more enjoyable. 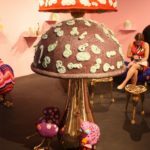 This was a project by Studio Schicketanz. 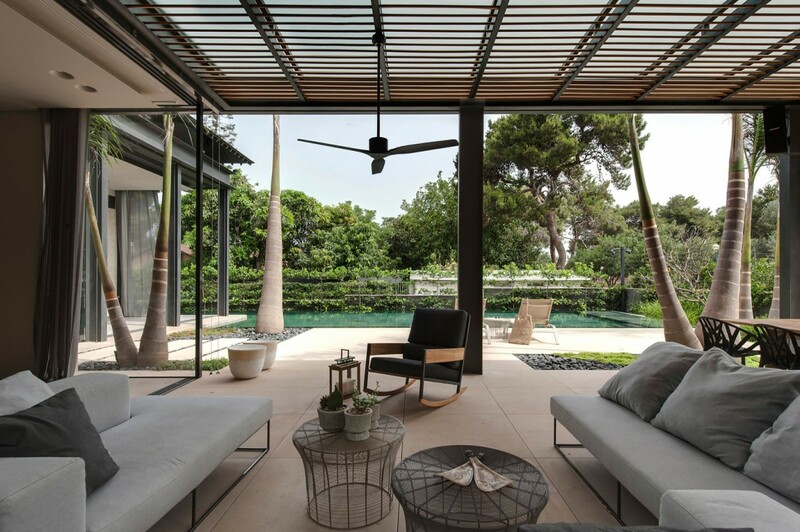 This is the cozy courtyard lounge created by Nurit Leshem between two houses in Tel Aviv, Israel. The buildings sit on adjacent plots, one of them being a recent addition. 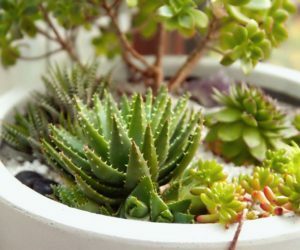 They couldn’t be unified but this cozy space was created between them. 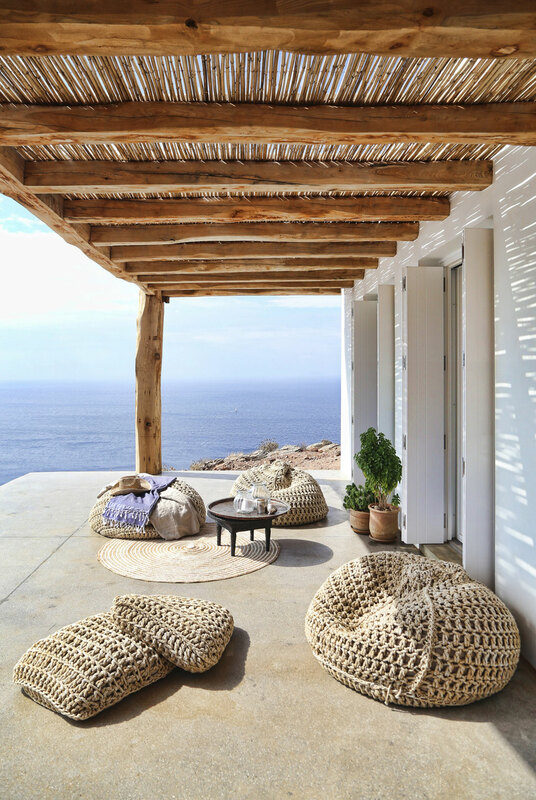 What could be better than lounging on this terrace and admiring the sunset or simply listening to the sound of the waves on a beautiful summer day? 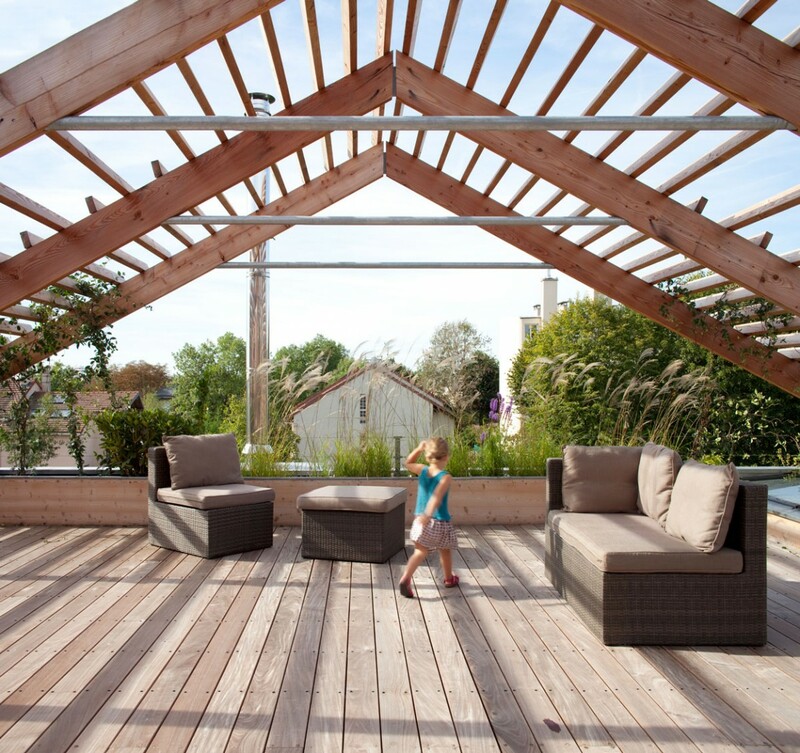 The pergola doesn’t let the sun turn this into an unpleasant experience, Stelle Lomont Rouhani Architects made sure of that. 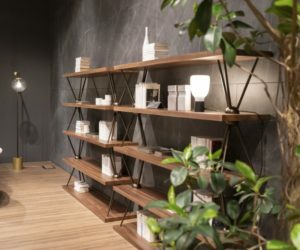 The thick, solid wooden beams give this pergola an interesting look, contrasting with the sleek metal frame of the sectional sofa but being nicely complemented by the robust coffee table. It’s something that Centric Design Group created for the Wellness Citygarden , a project they completed in the Netherlands.